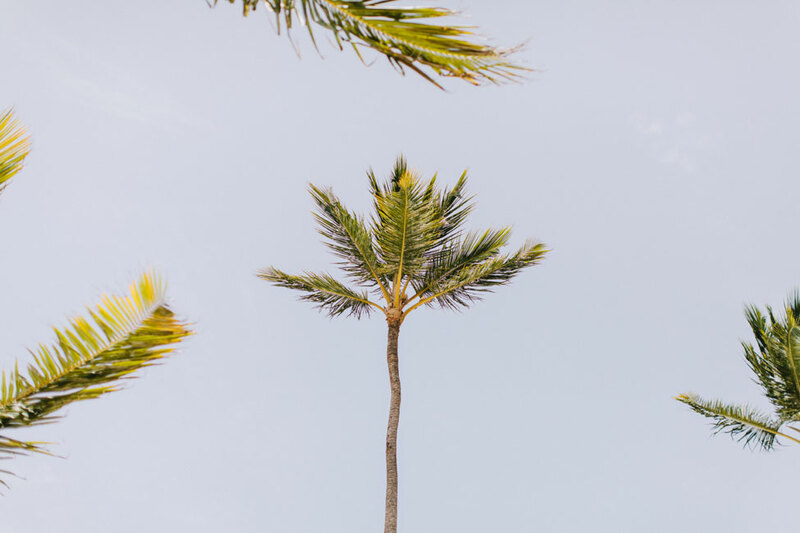 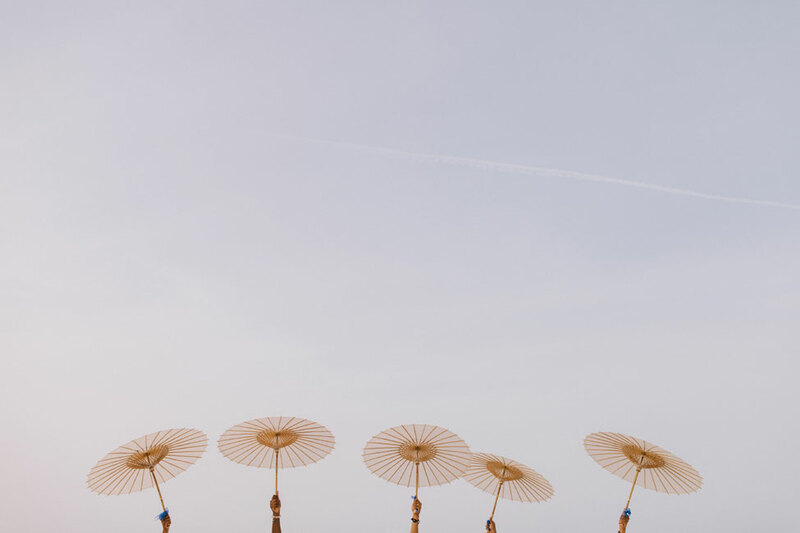 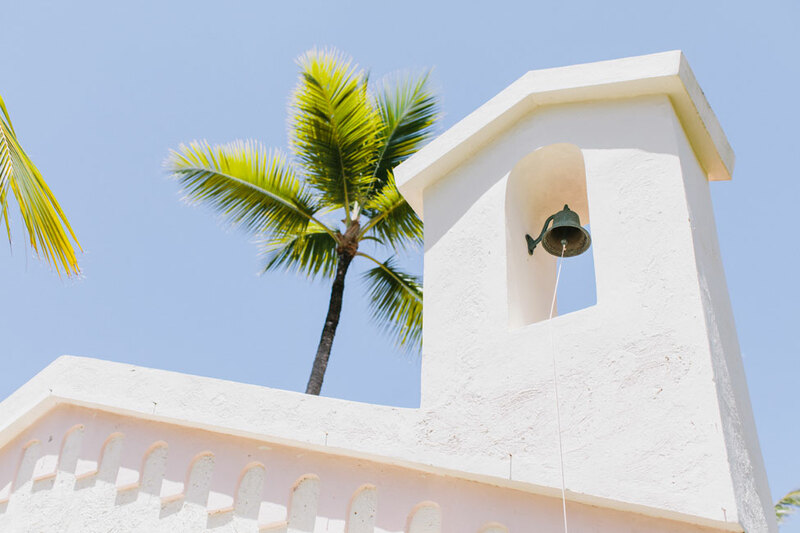 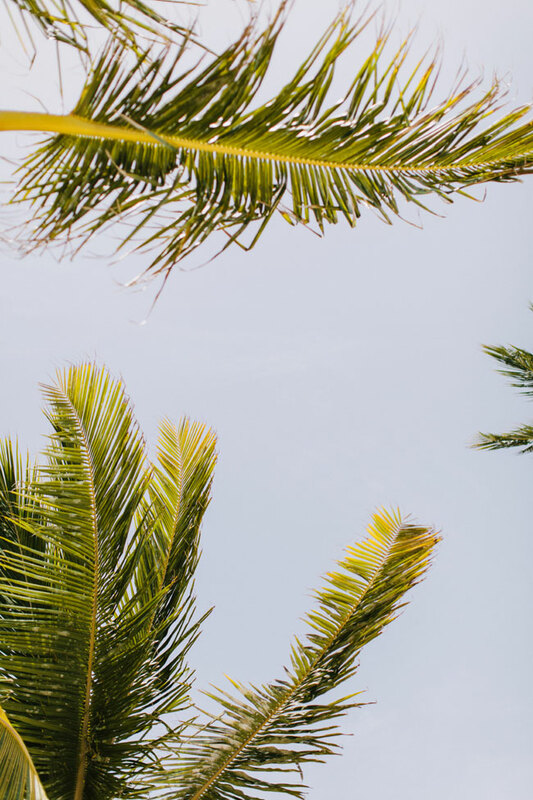 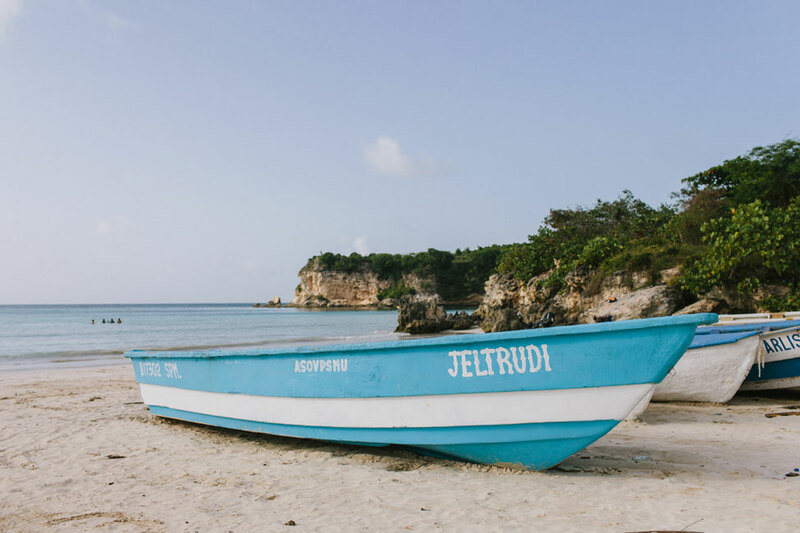 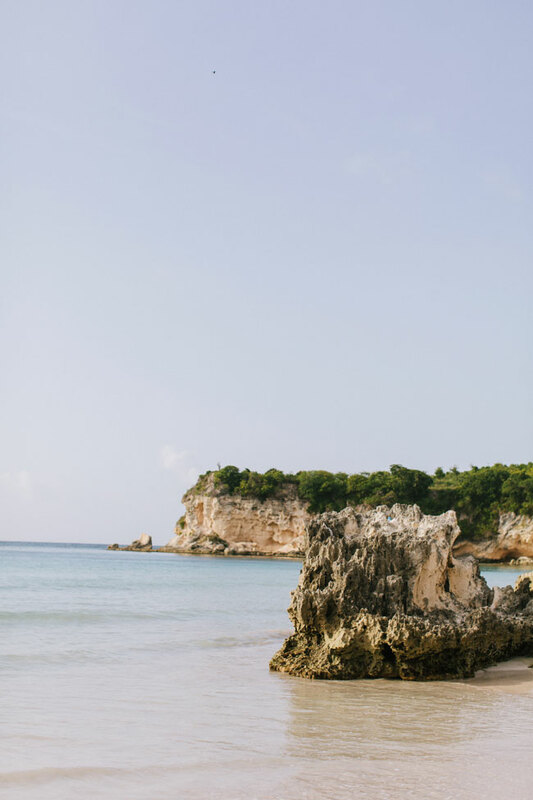 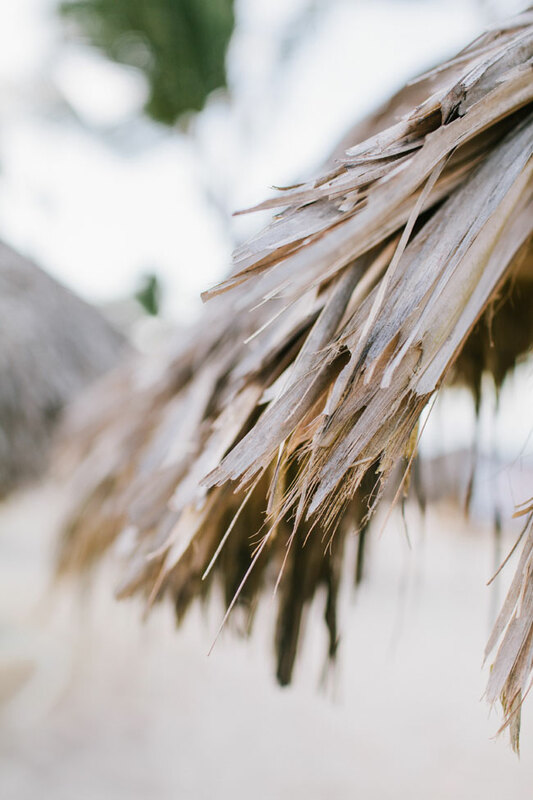 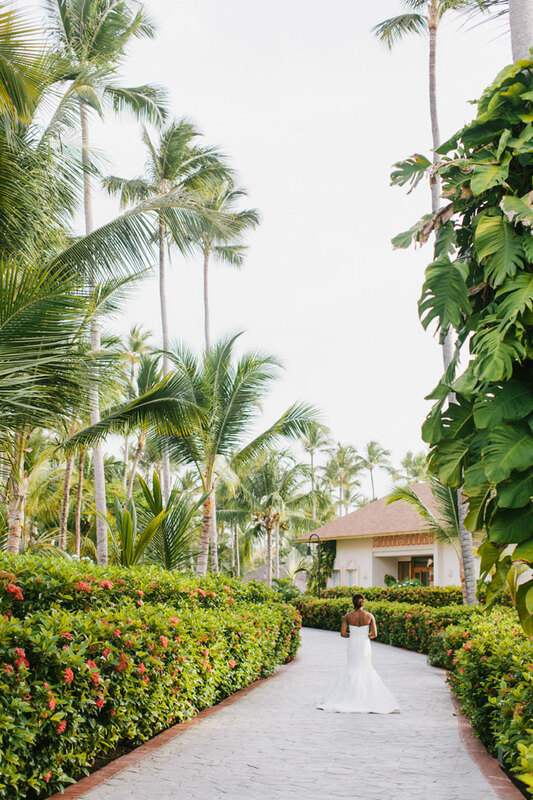 When you think destination wedding, we all dreamily default to gorgeous tropical destination beach weddings filled with white sand and gently blowing sea breezes. 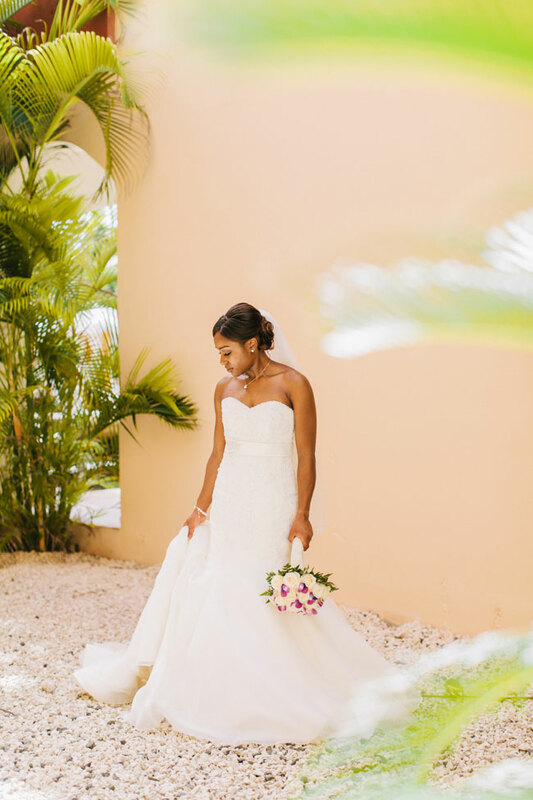 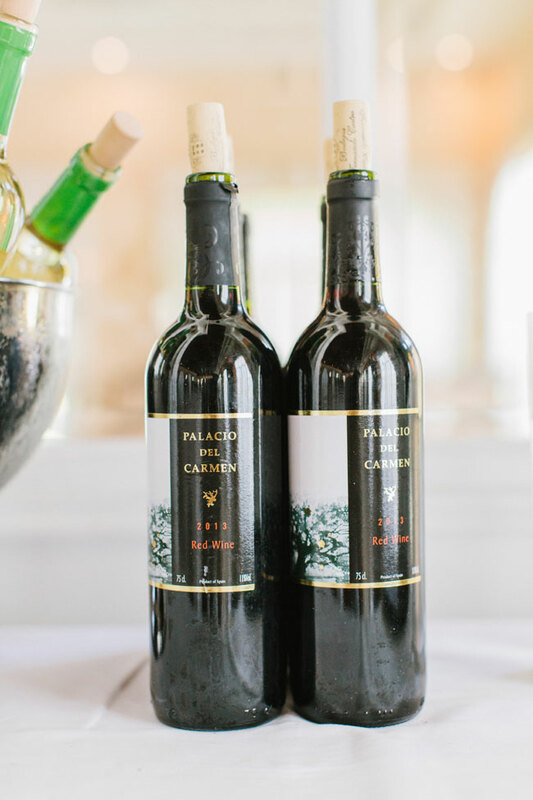 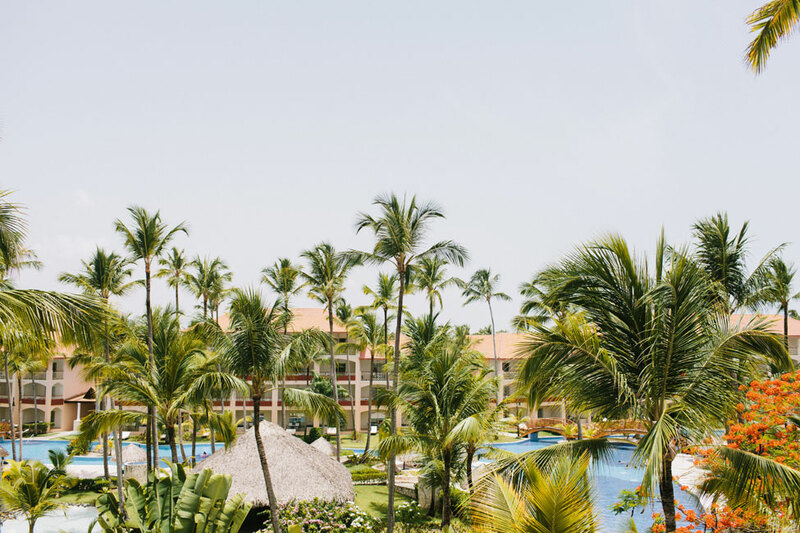 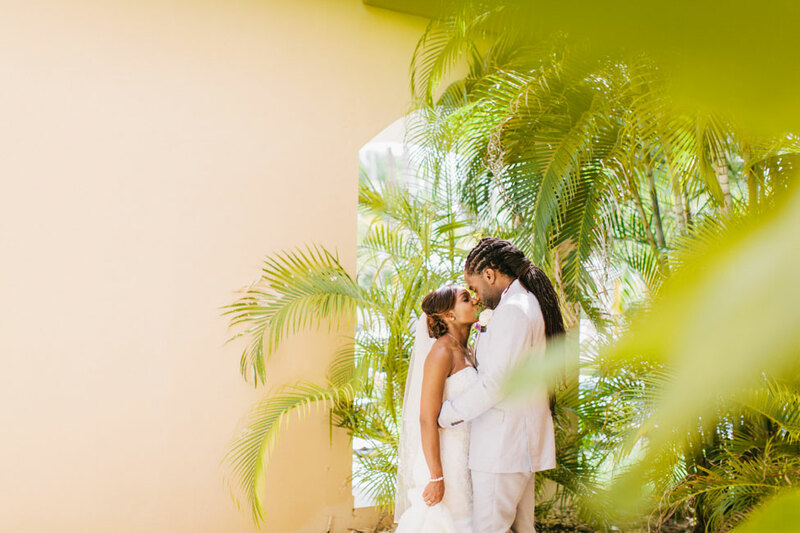 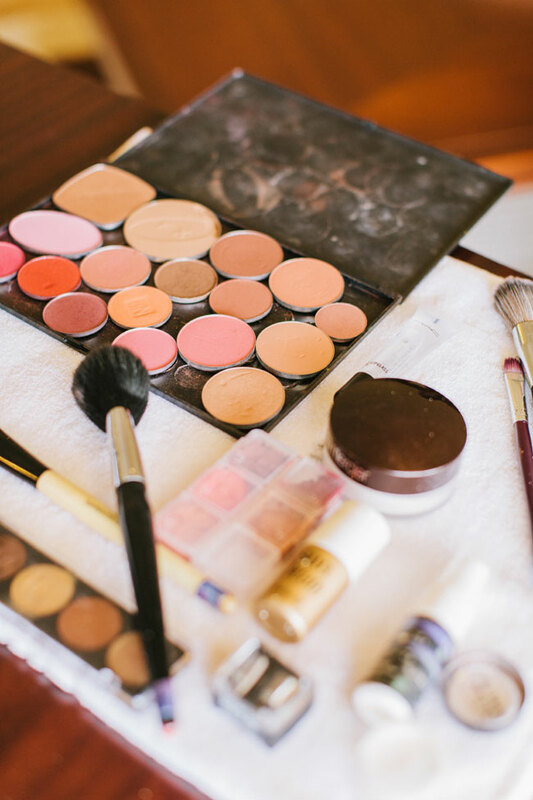 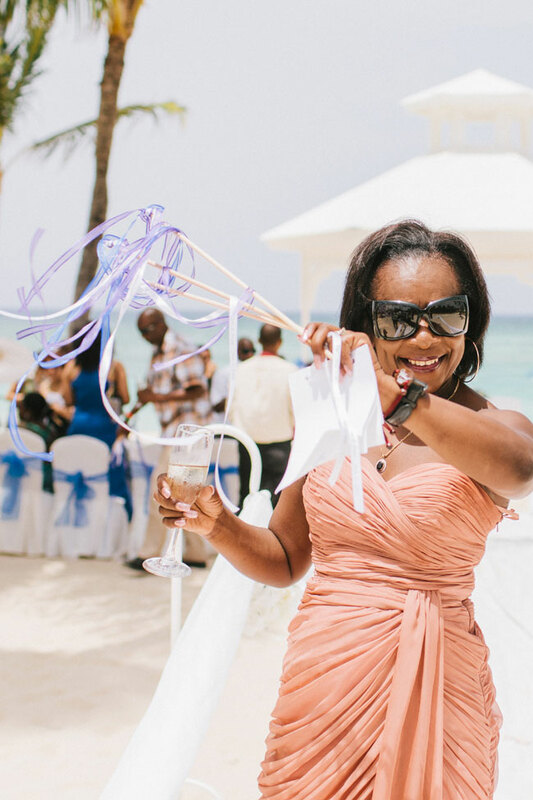 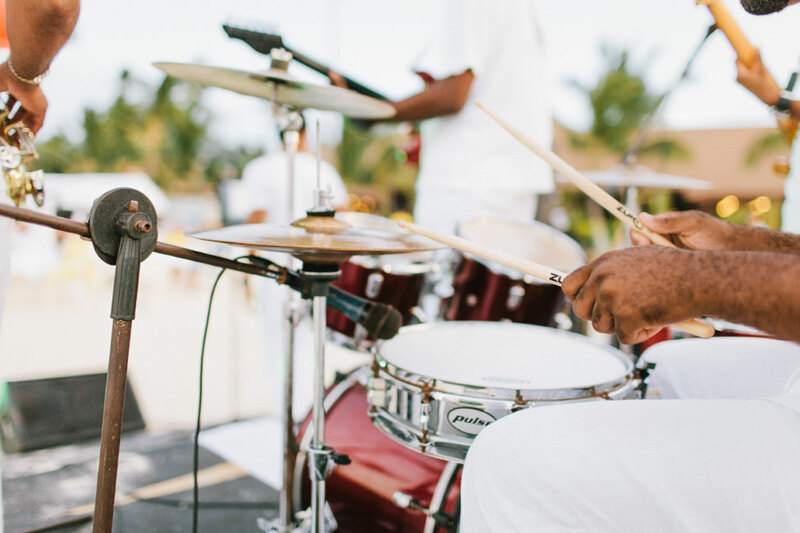 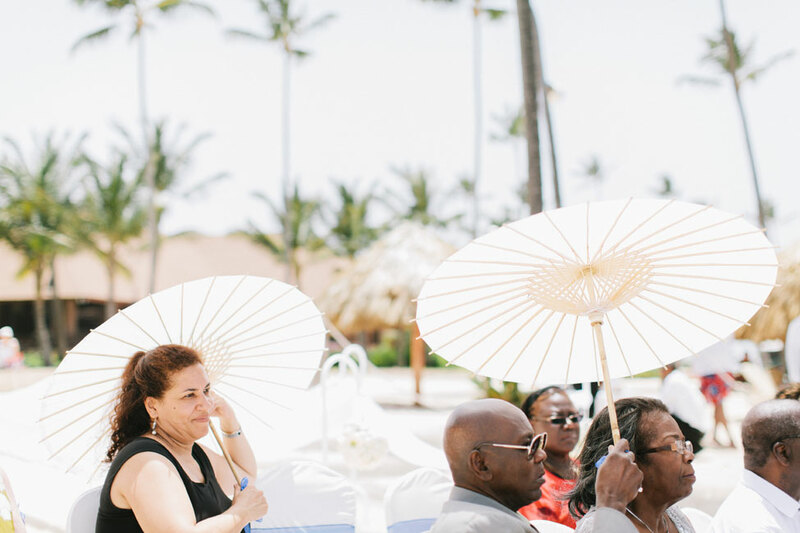 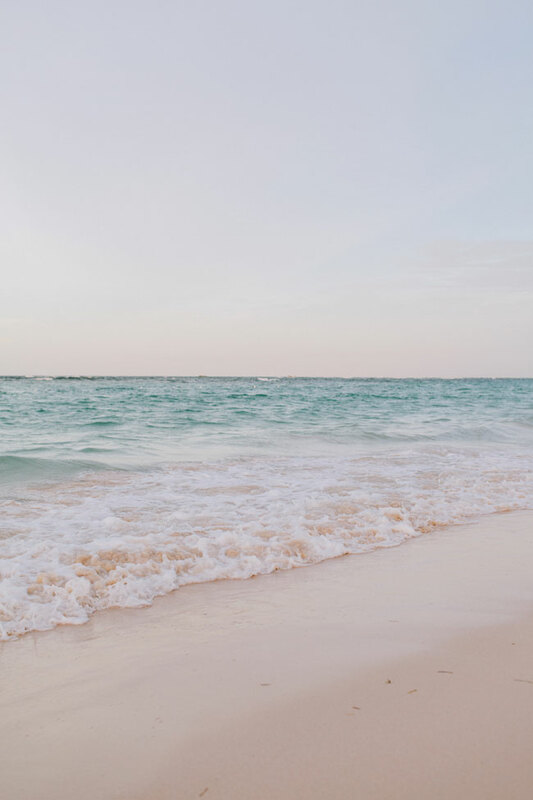 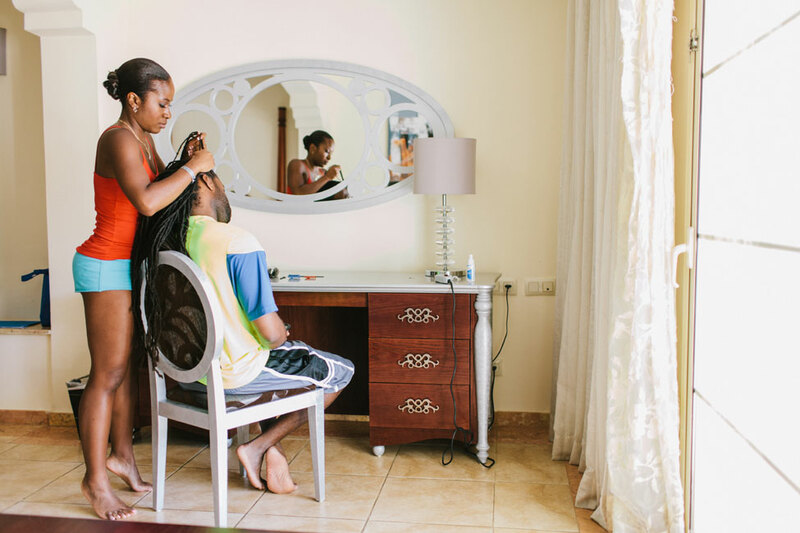 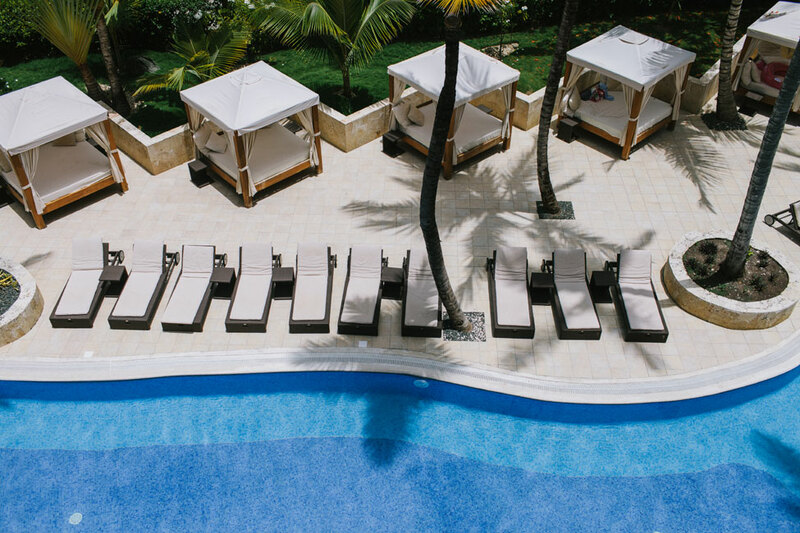 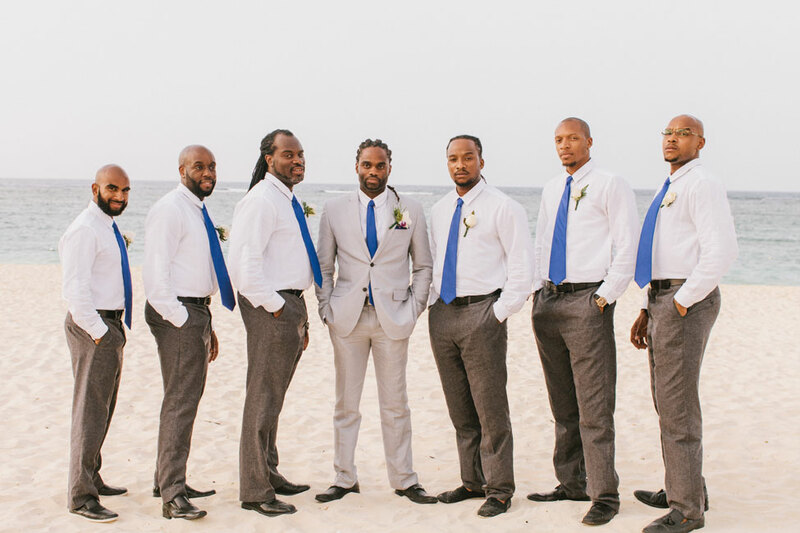 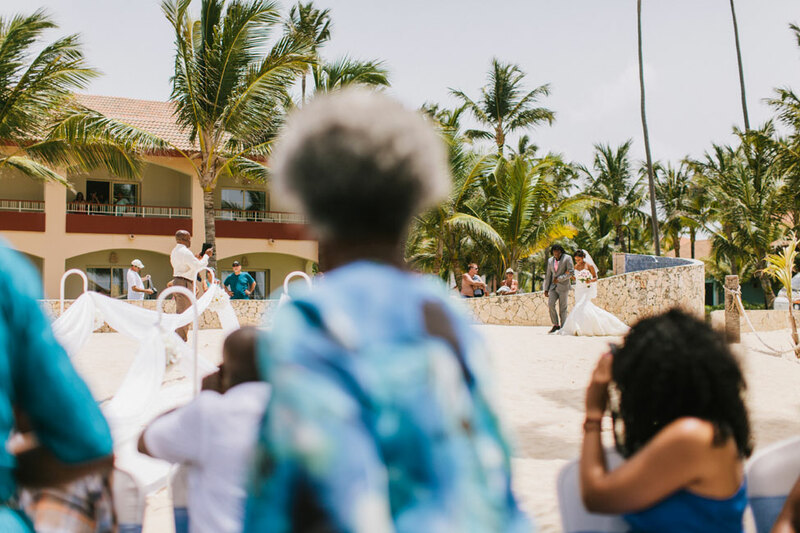 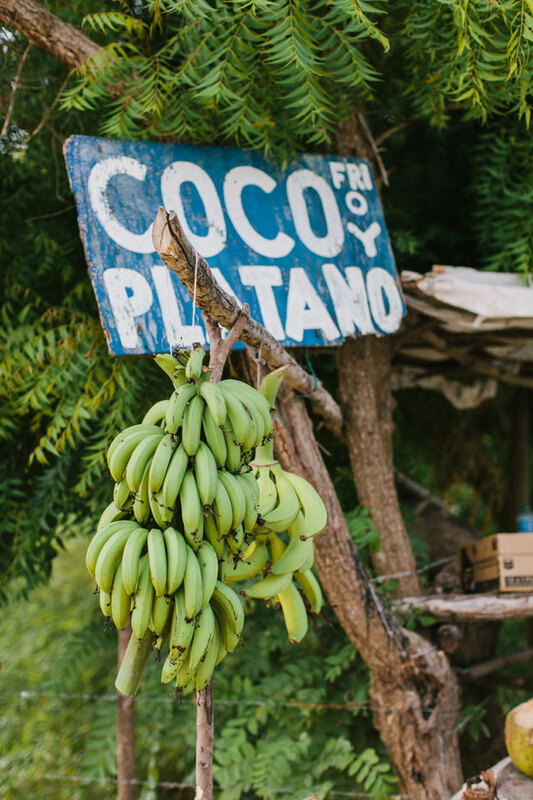 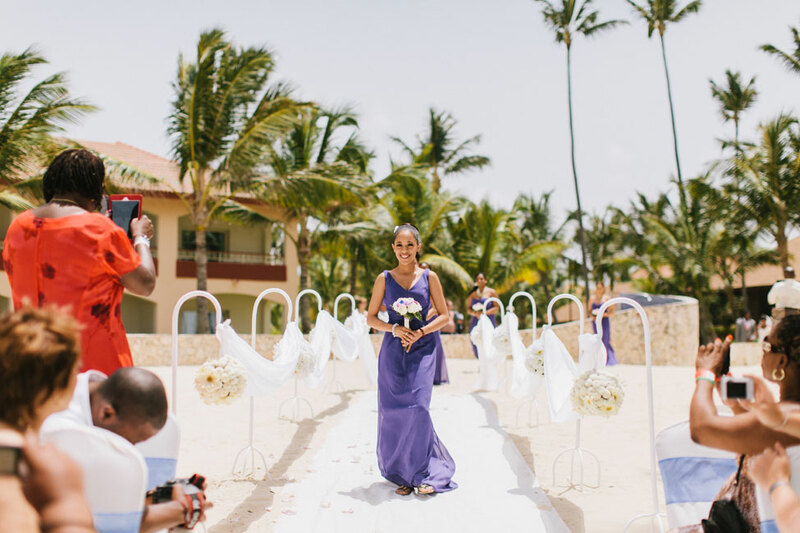 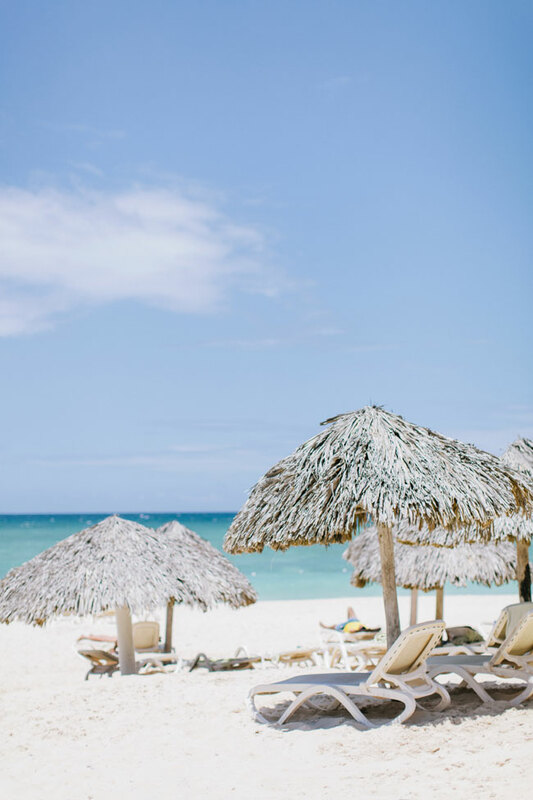 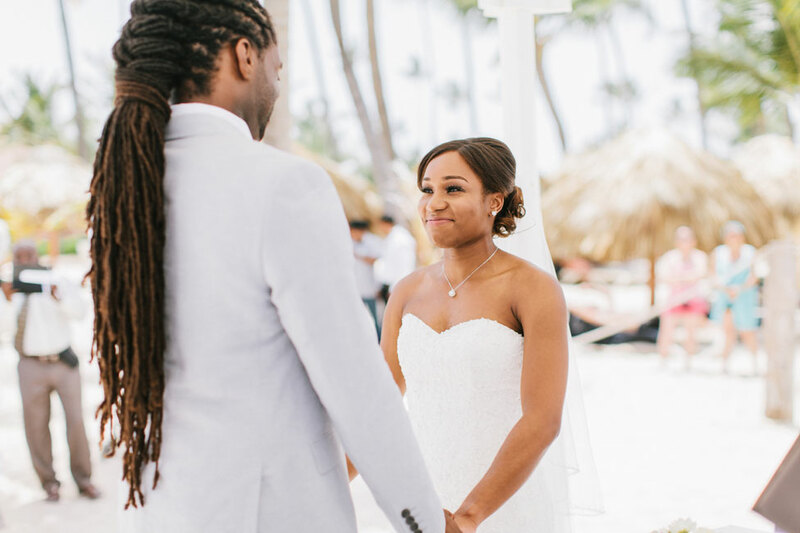 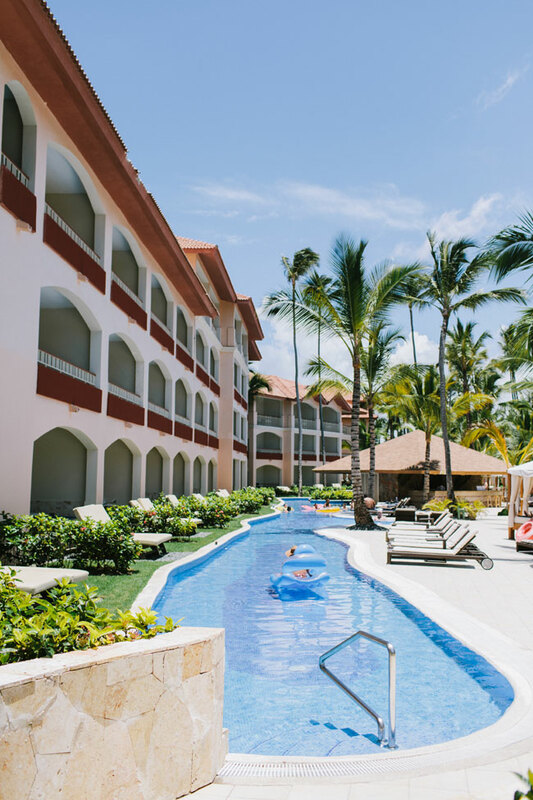 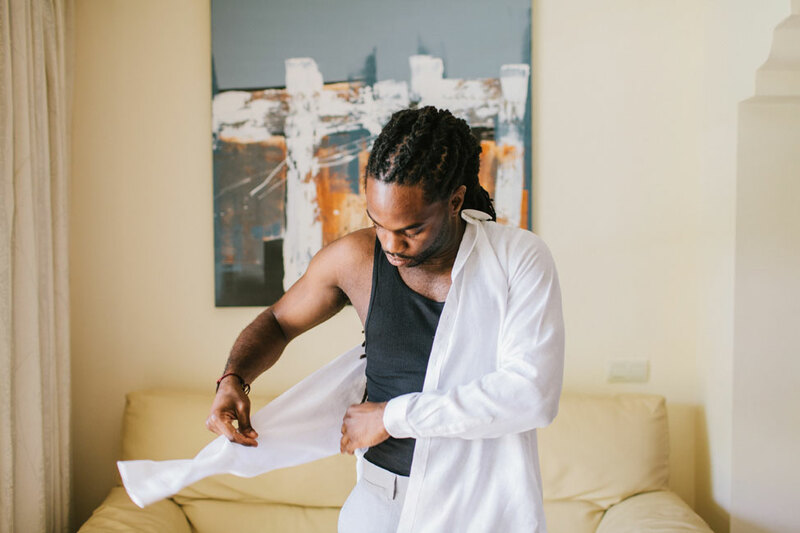 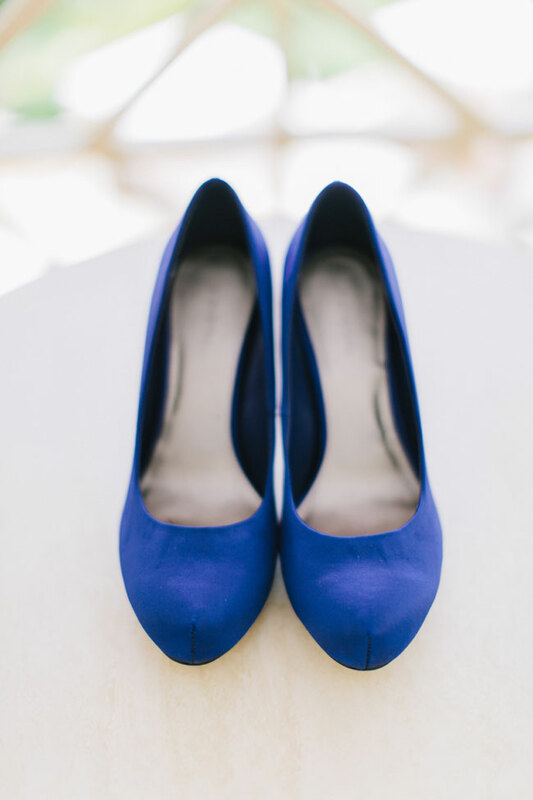 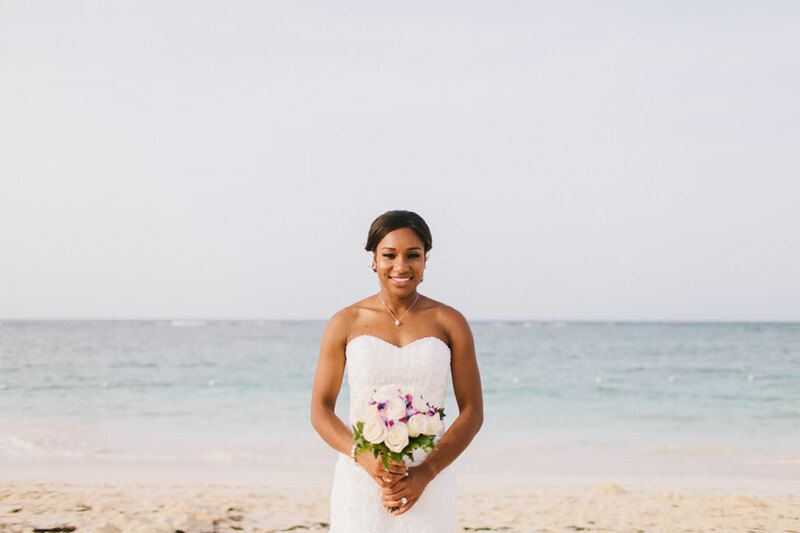 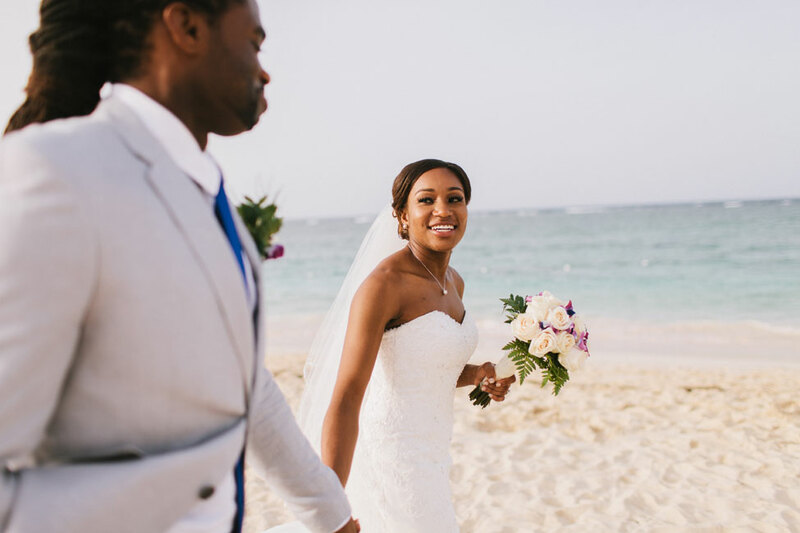 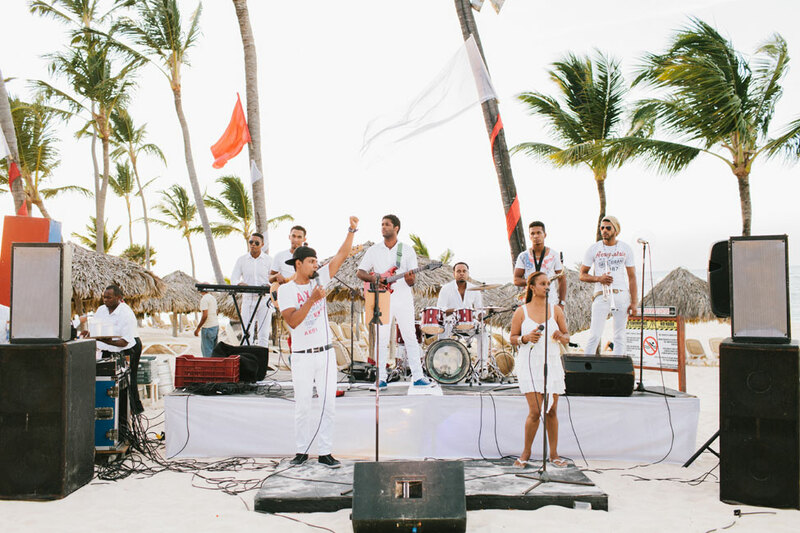 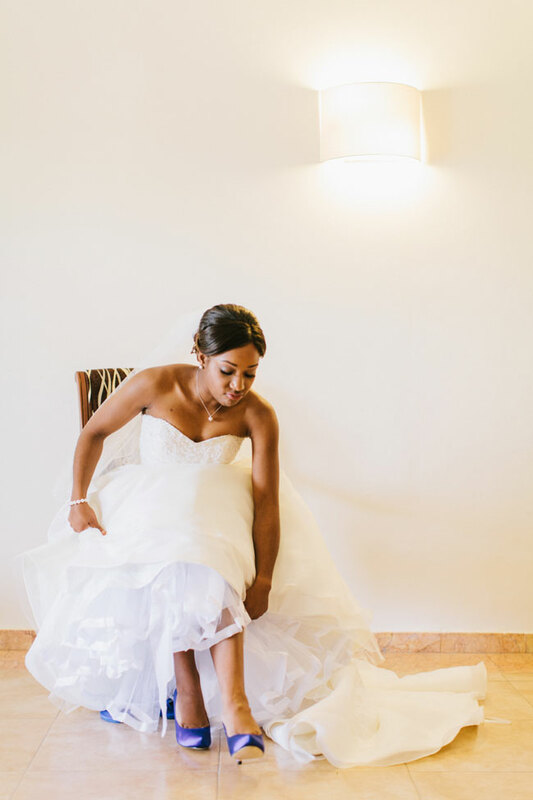 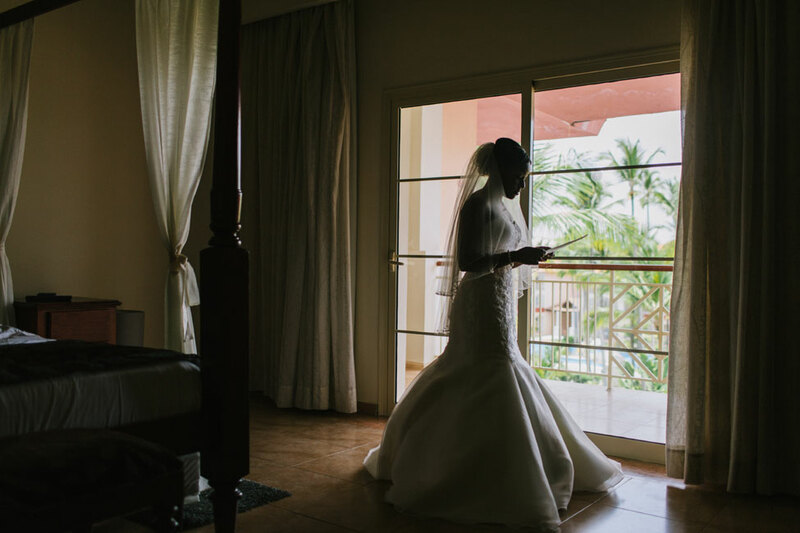 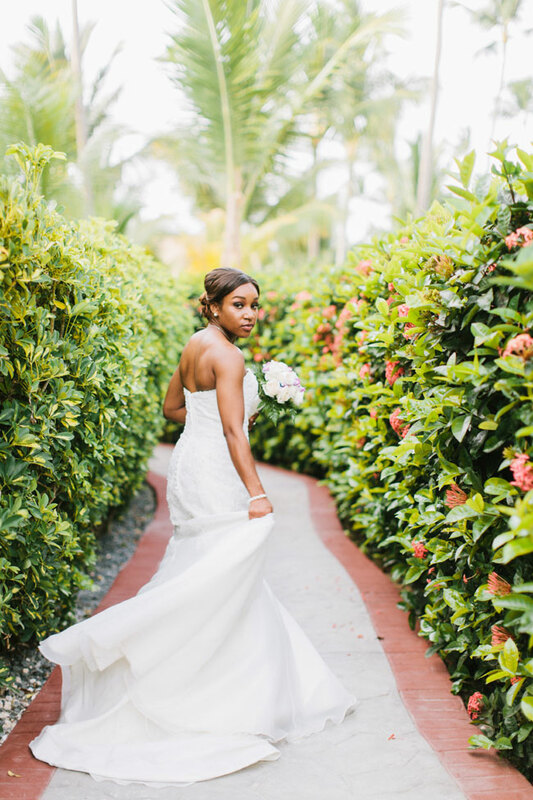 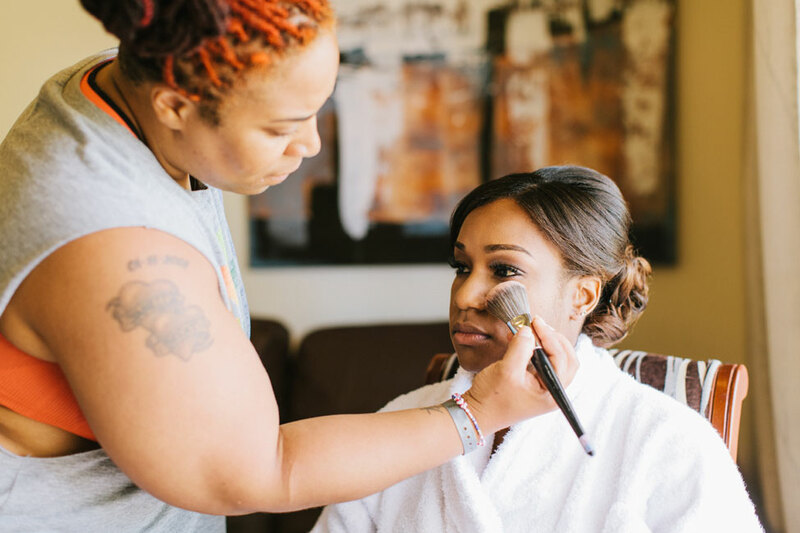 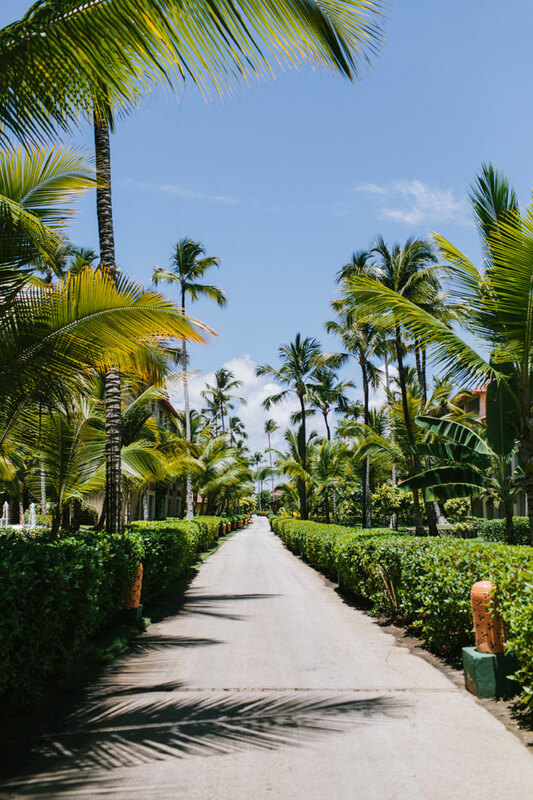 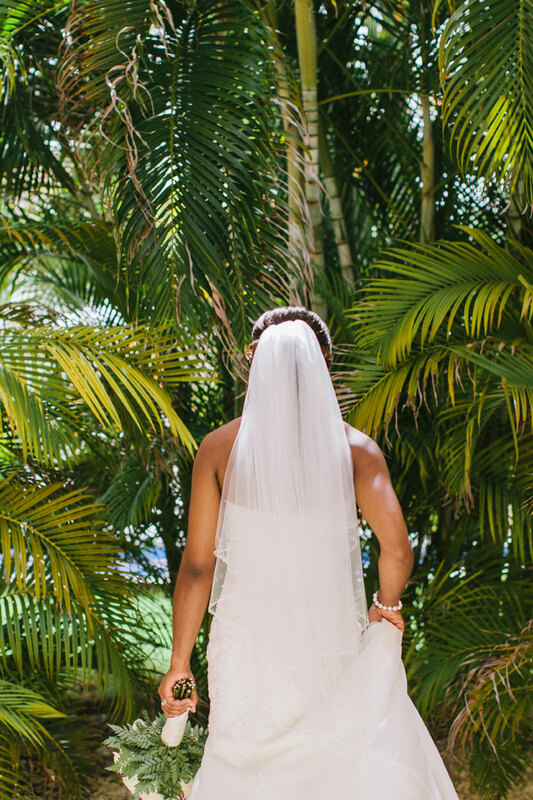 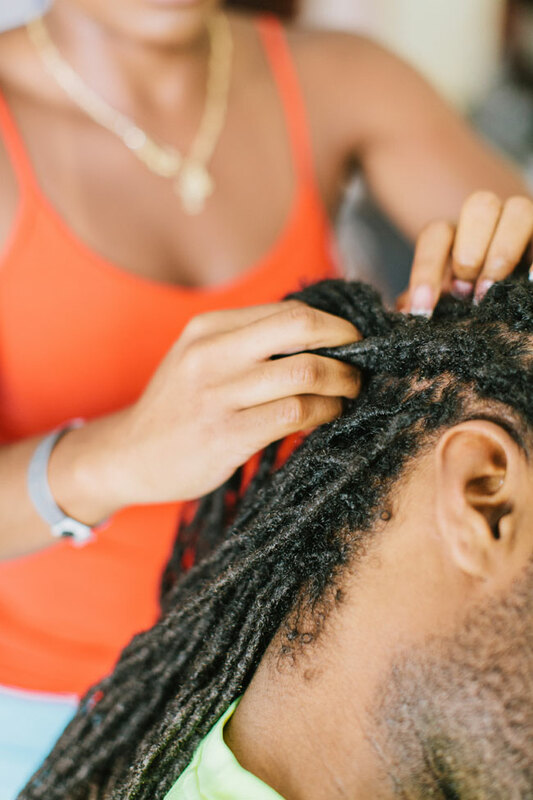 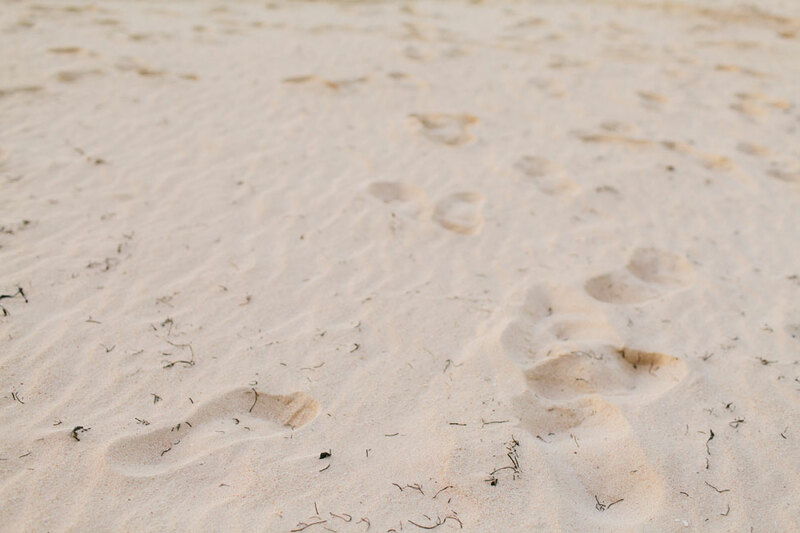 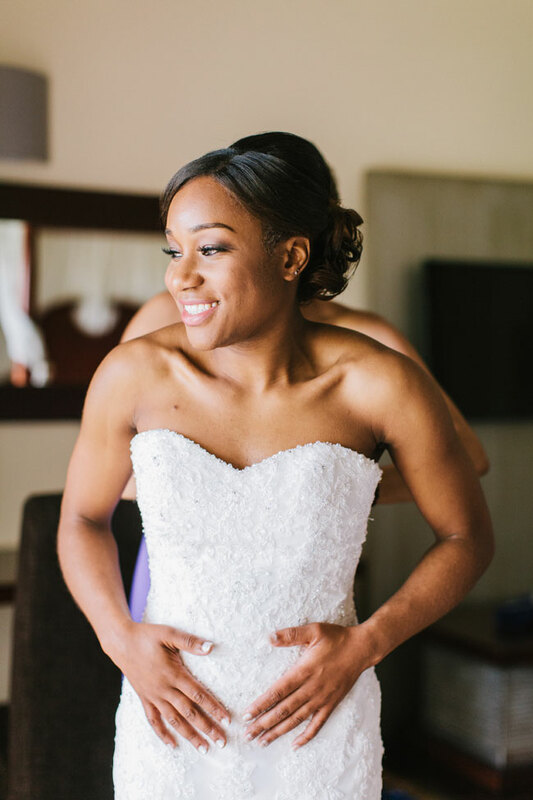 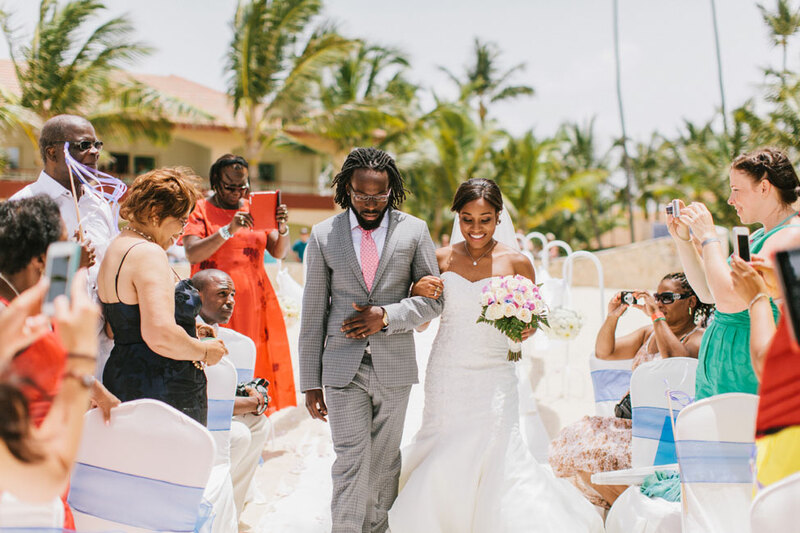 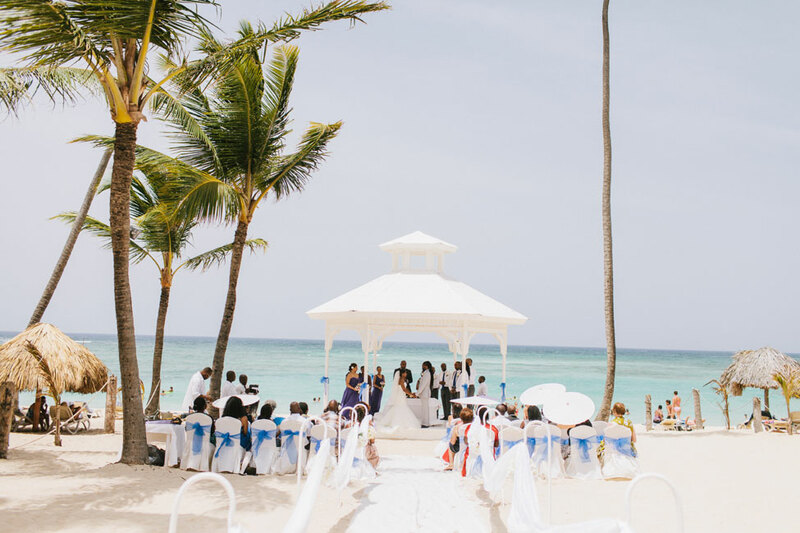 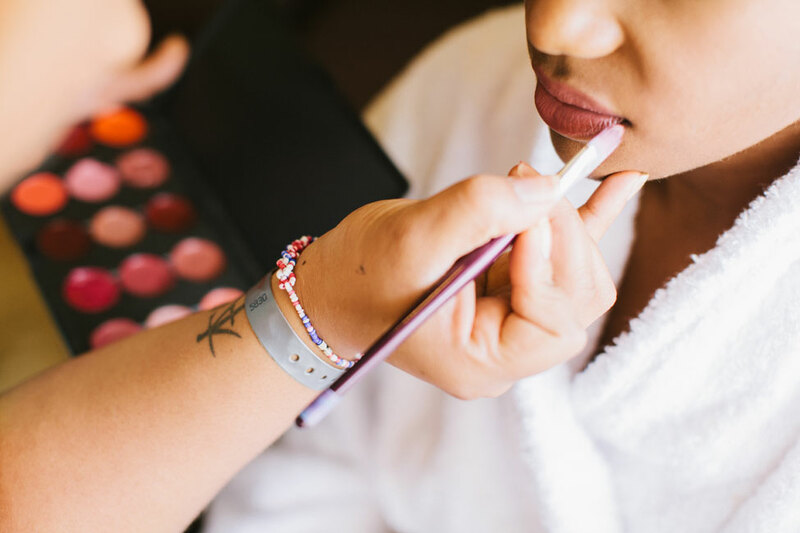 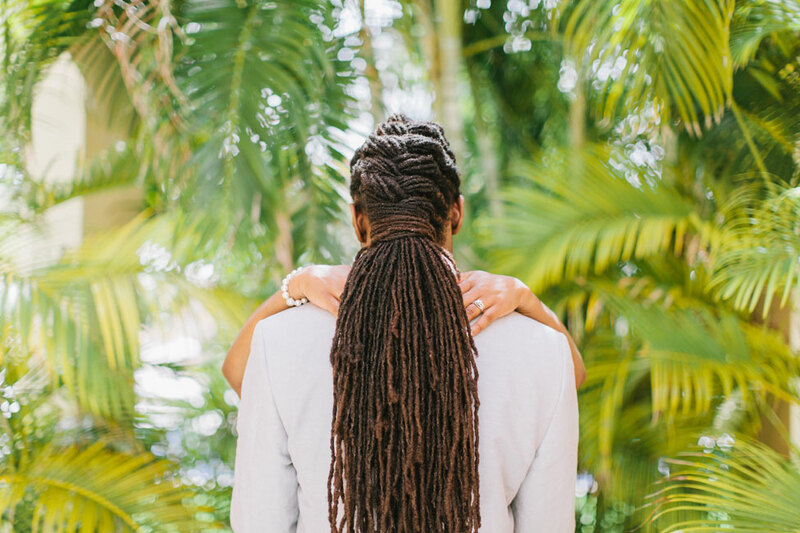 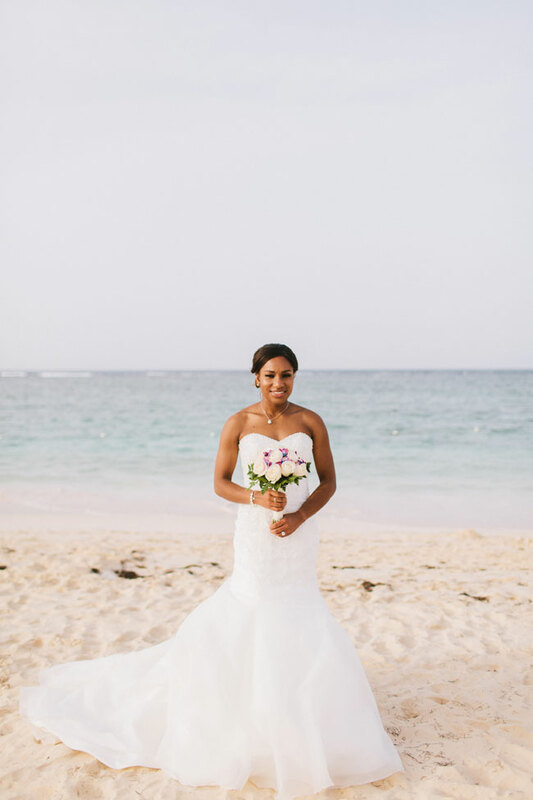 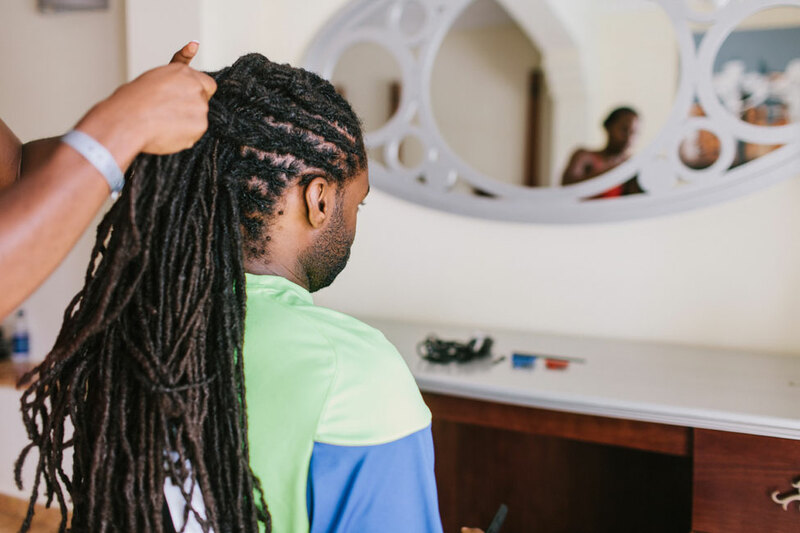 Feeling a similar need to go be some place extra lovely for their wedding, Cara Taylor & Jason Colthrust decided that a destination beach wedding down in Punta Cana was precisely what they needed. 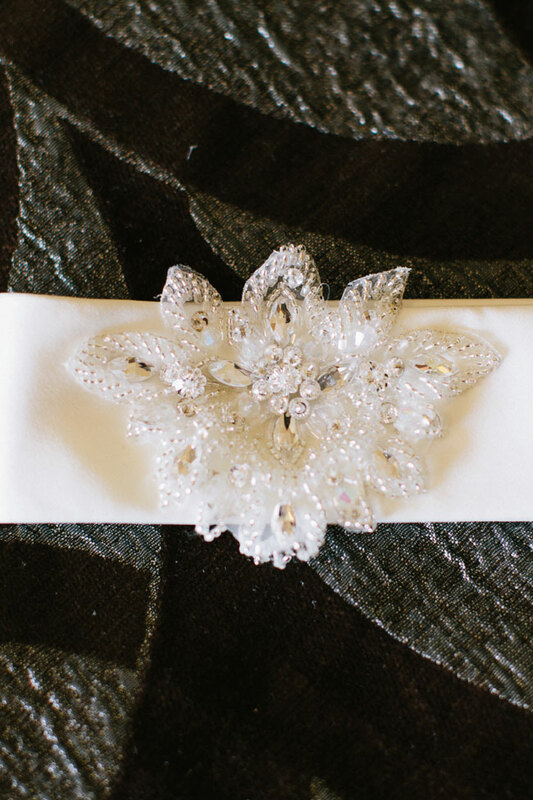 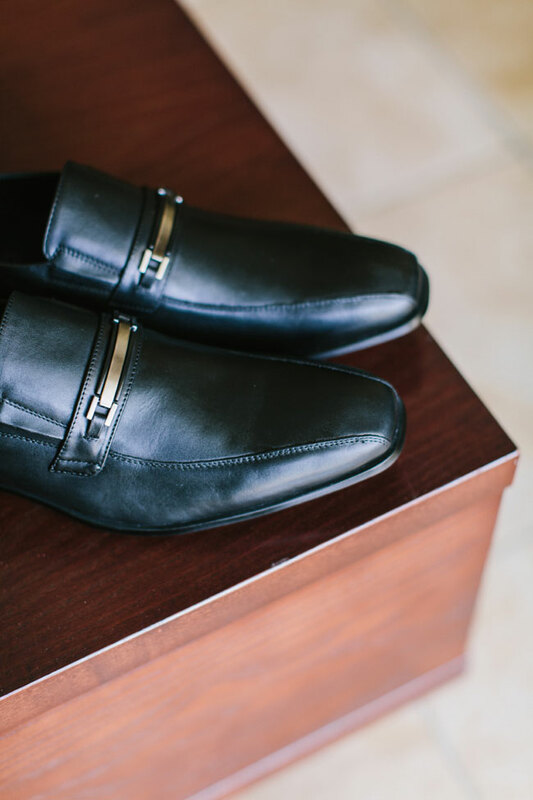 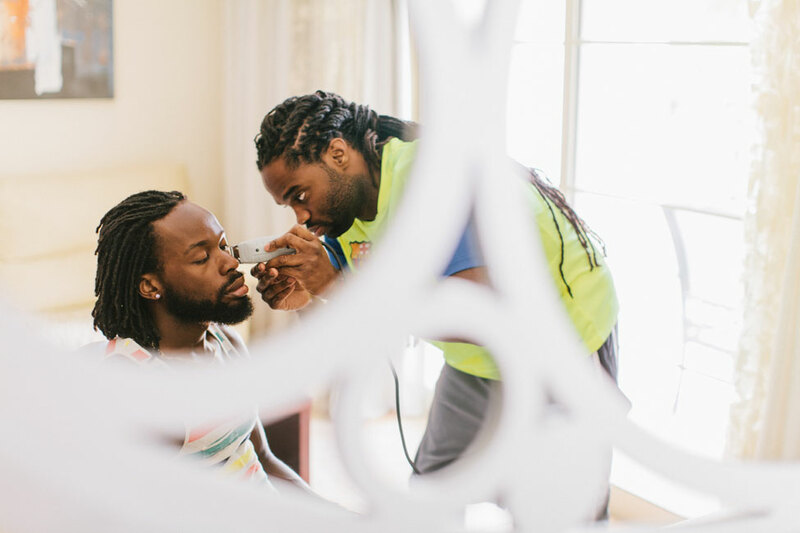 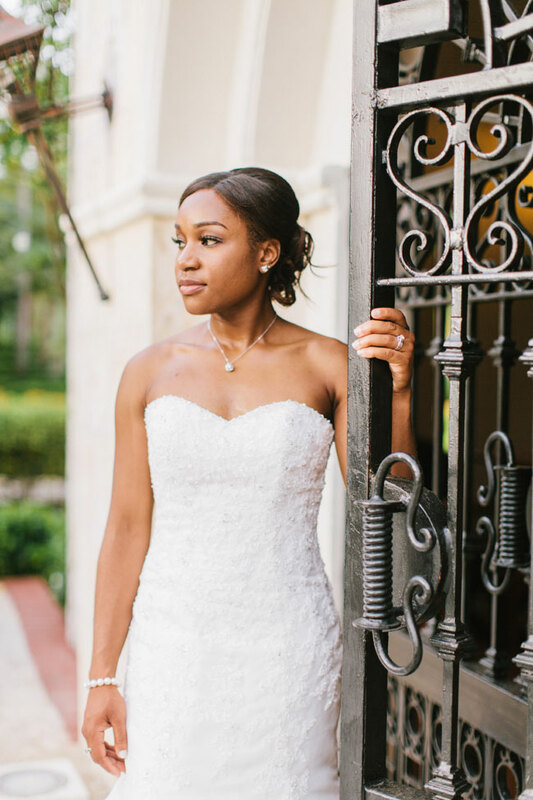 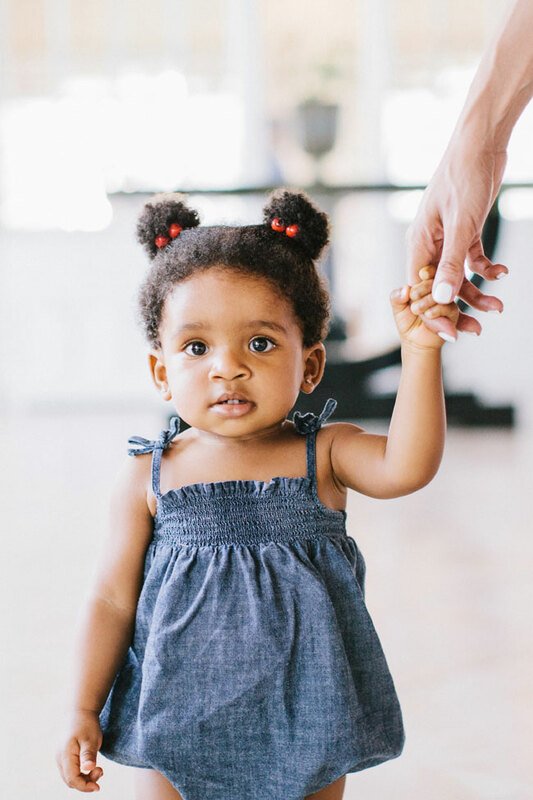 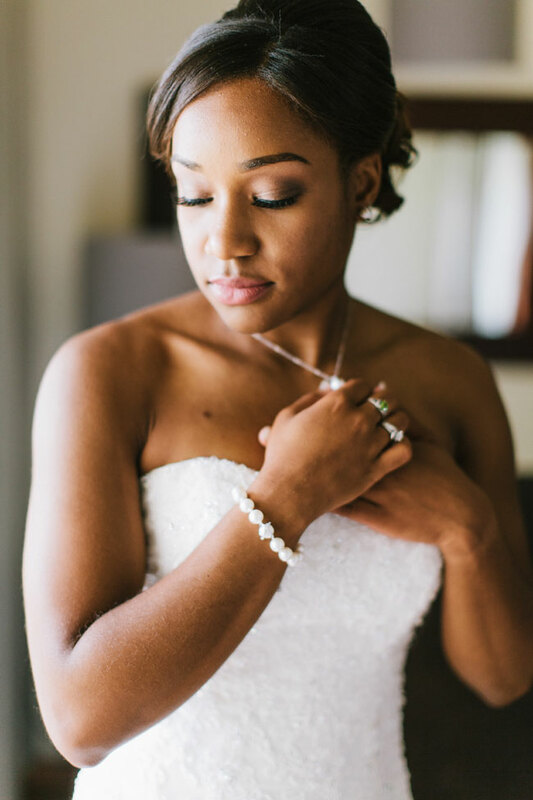 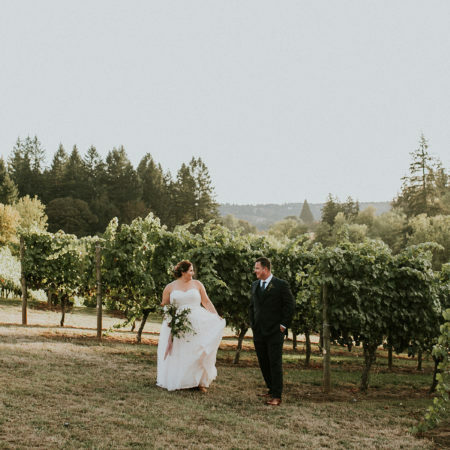 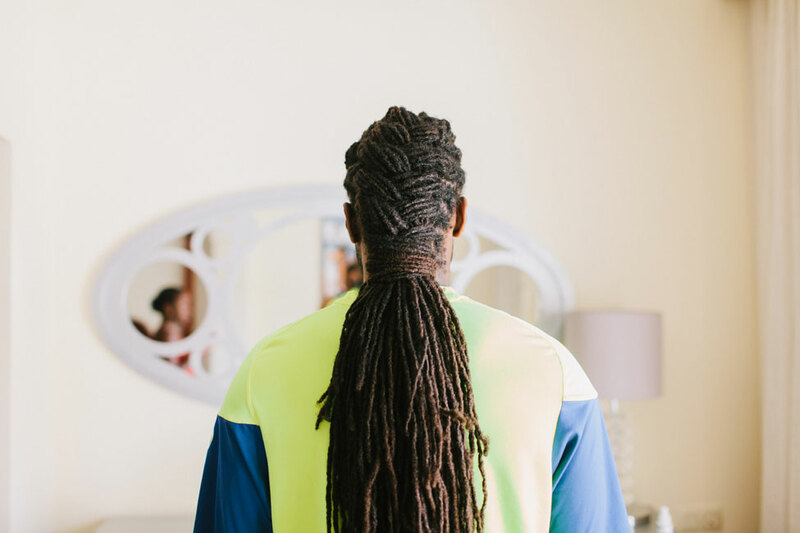 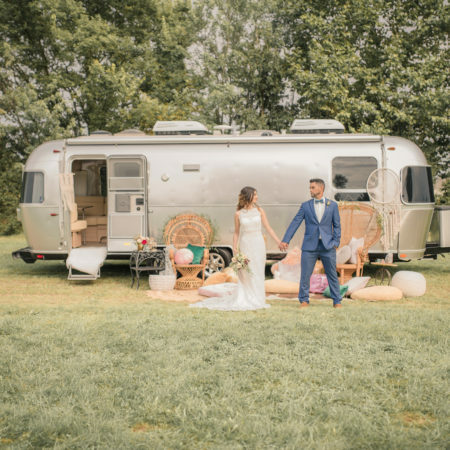 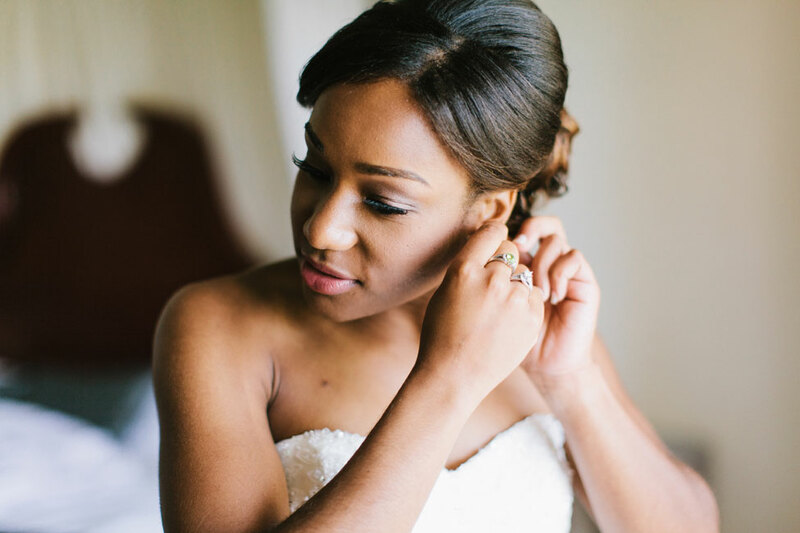 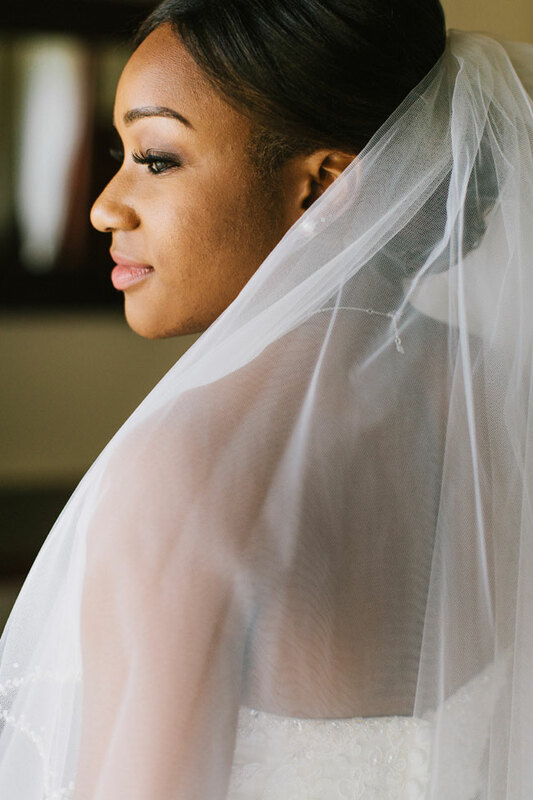 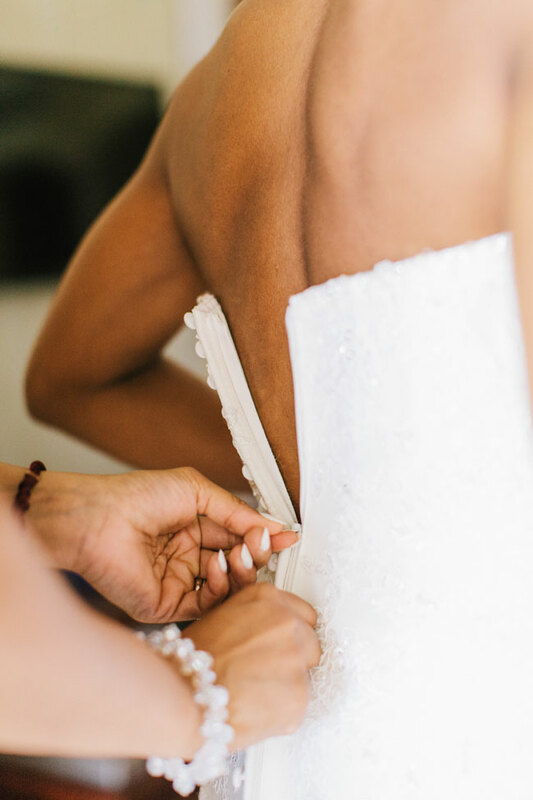 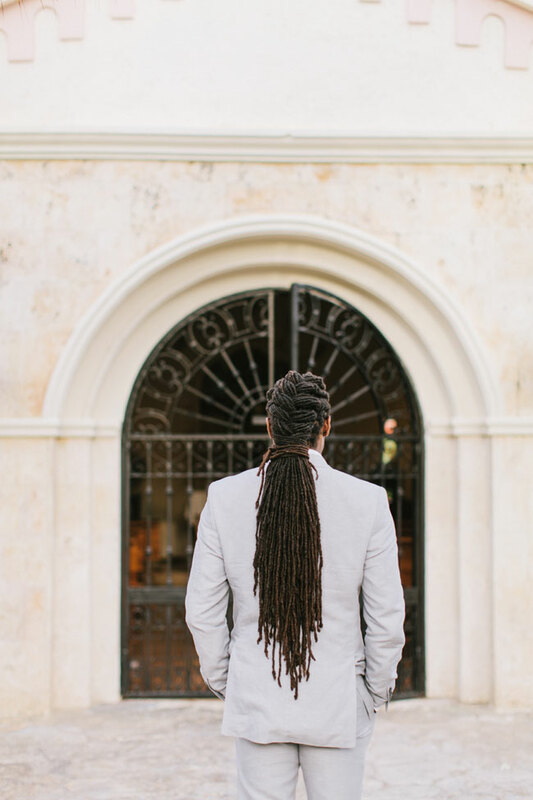 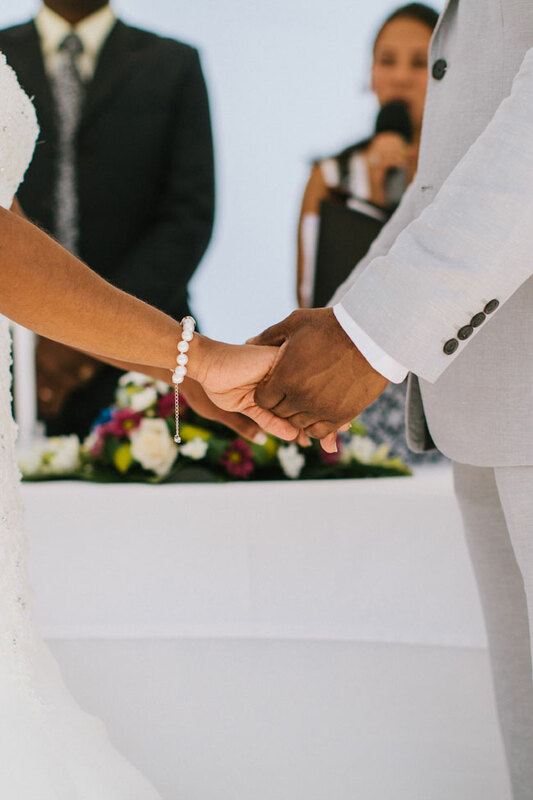 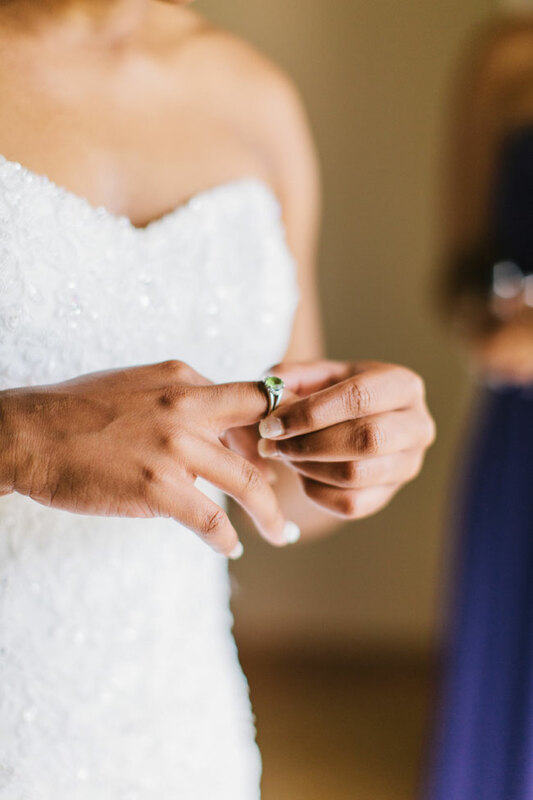 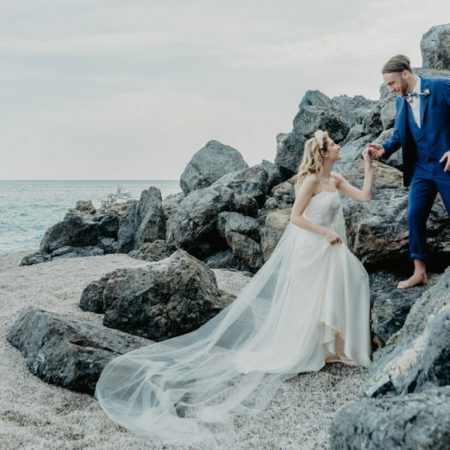 Armed with Canadian wedding photographer Michael Rousseau Photography, the couple traveled down to a world that was elegant perfection, allowing them to avoid more cliche beach themed wedding styles. 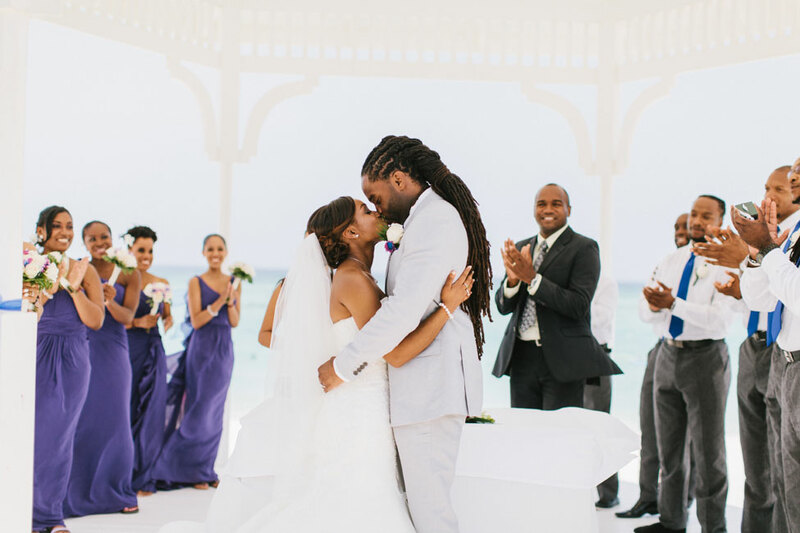 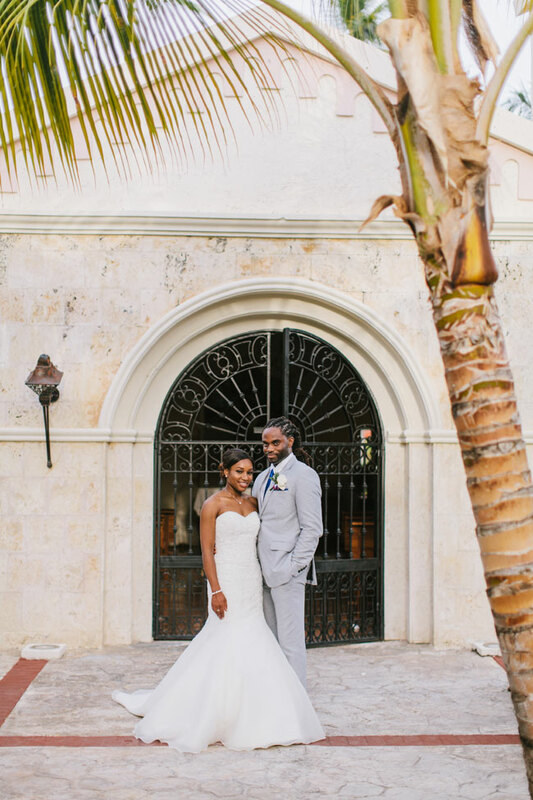 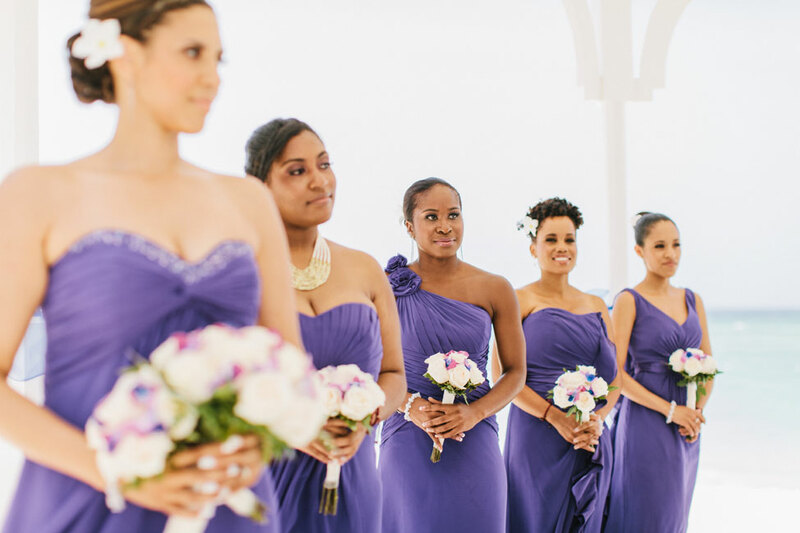 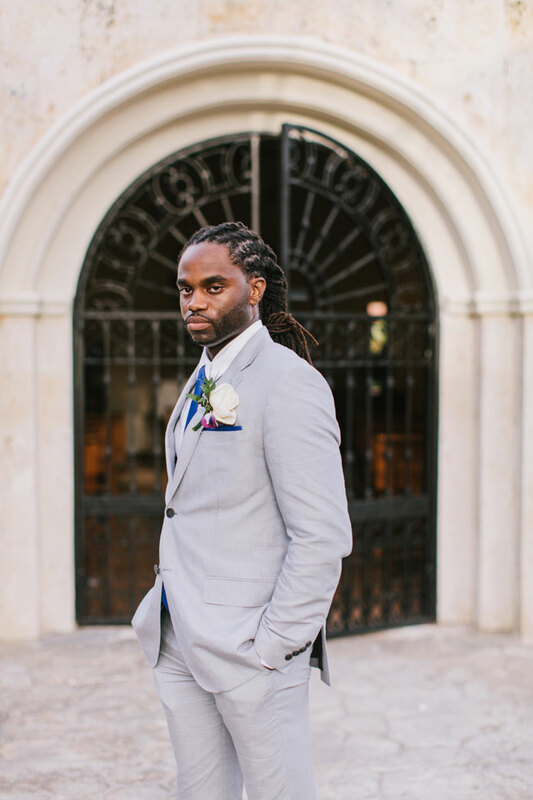 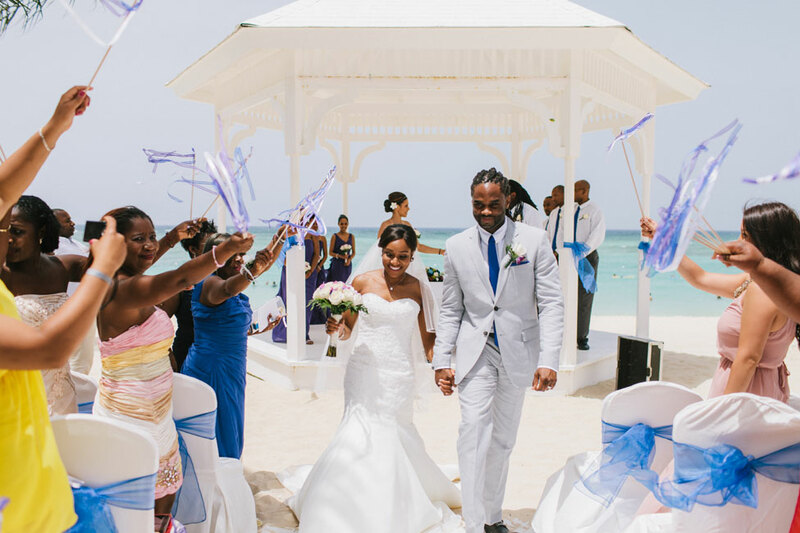 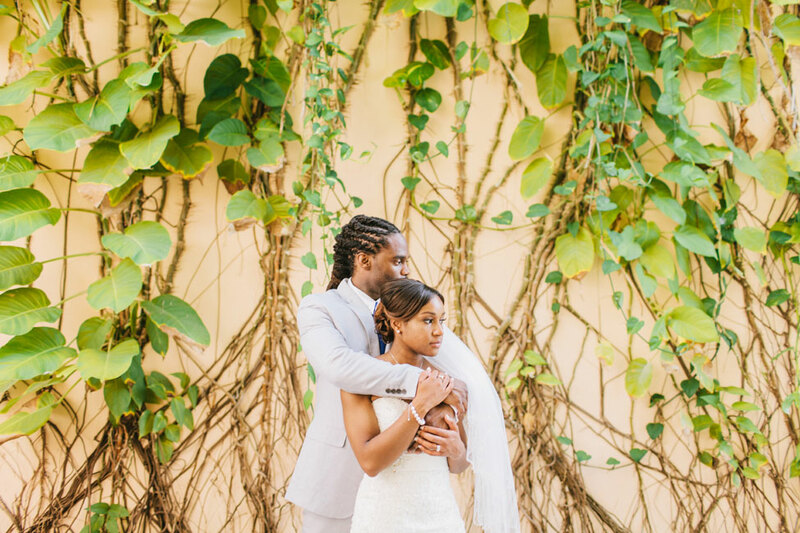 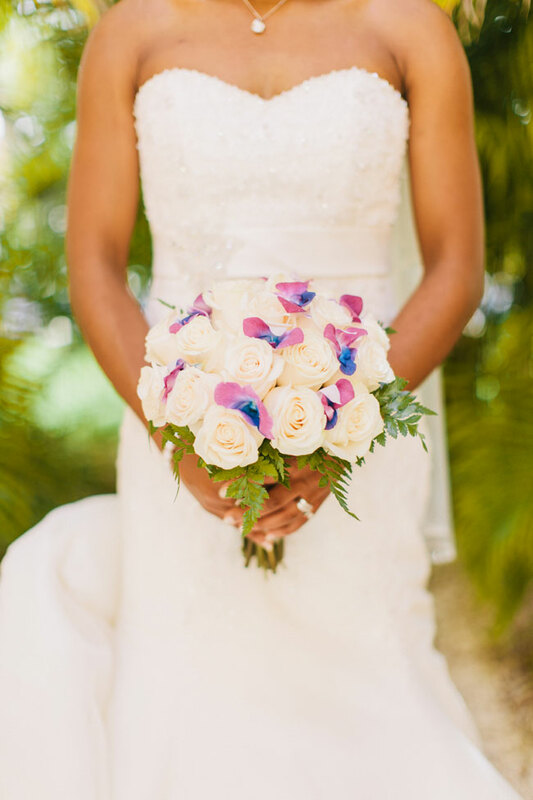 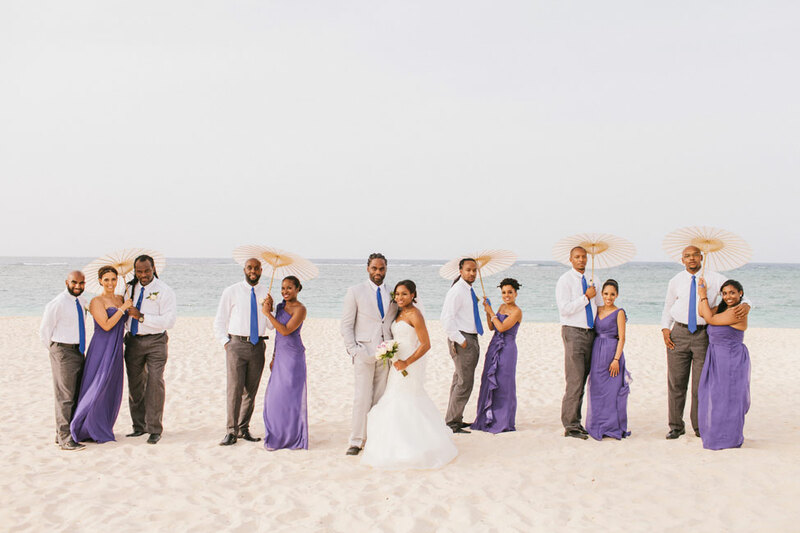 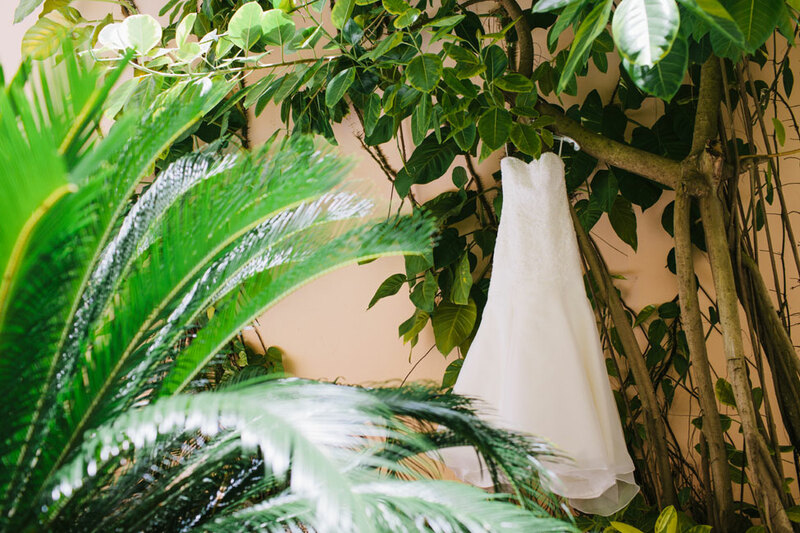 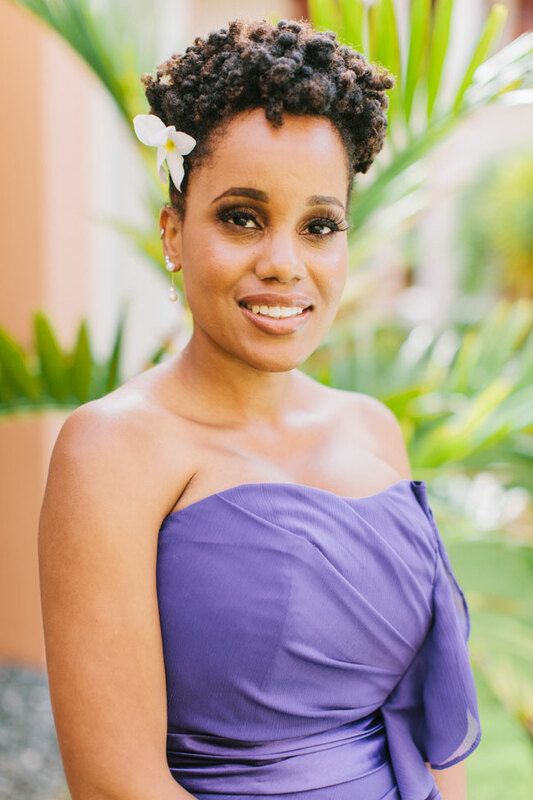 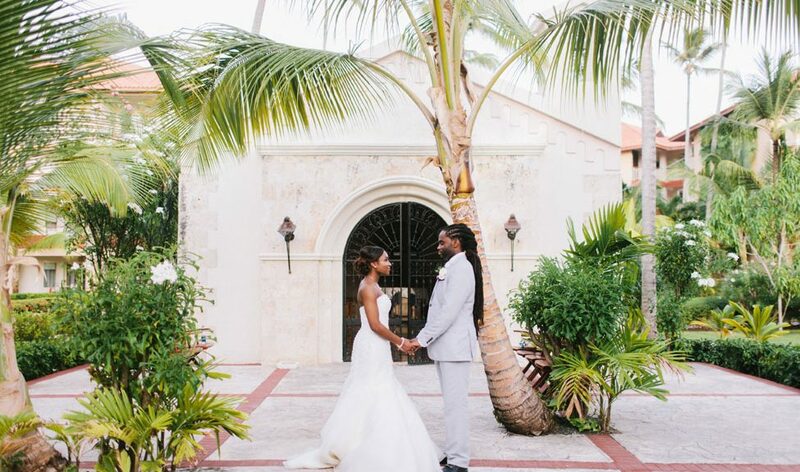 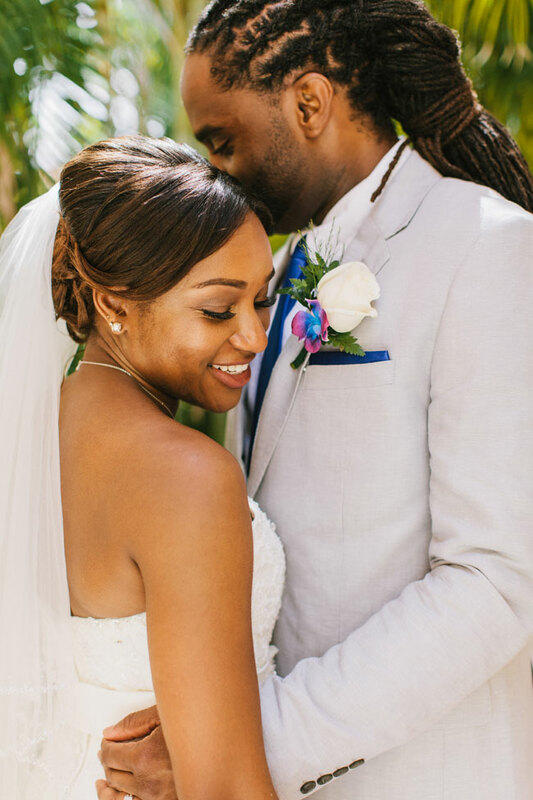 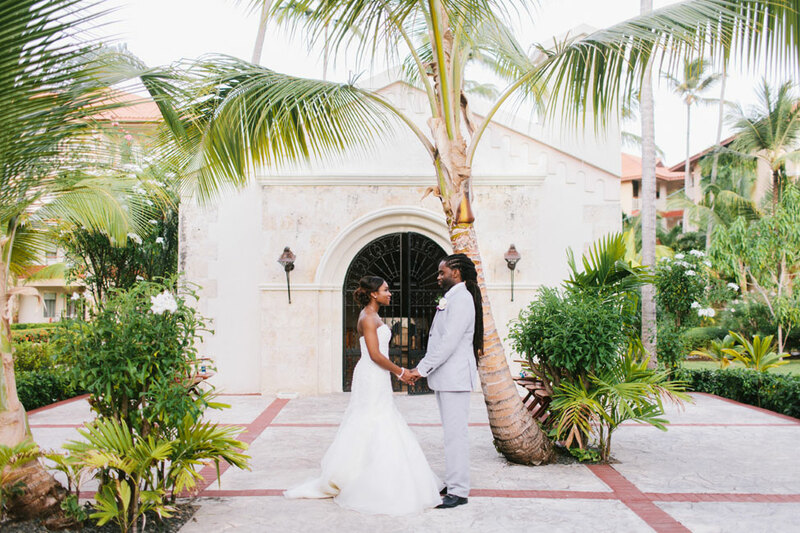 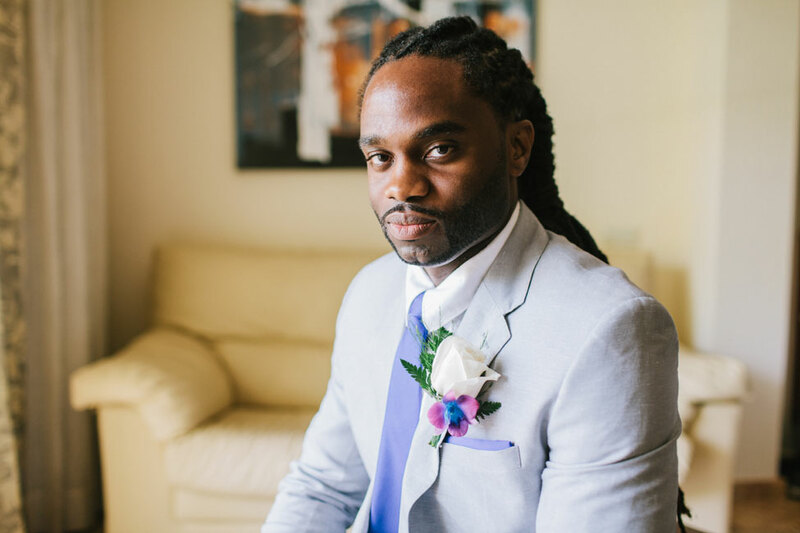 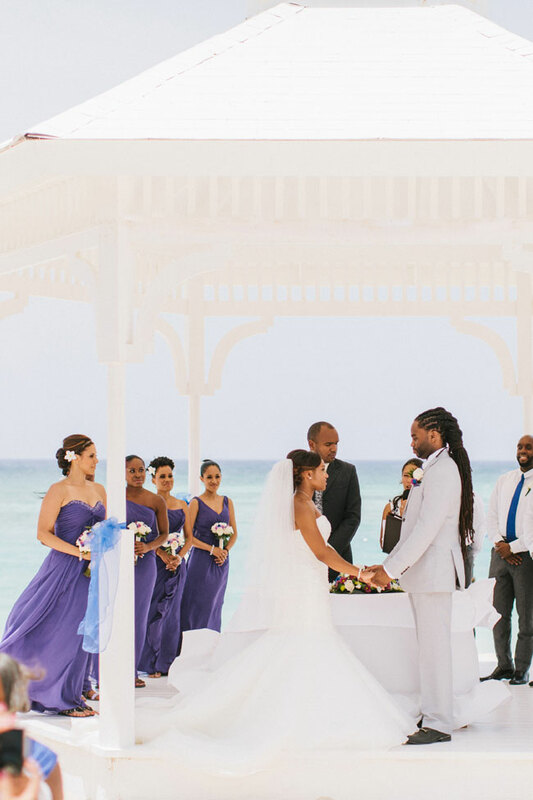 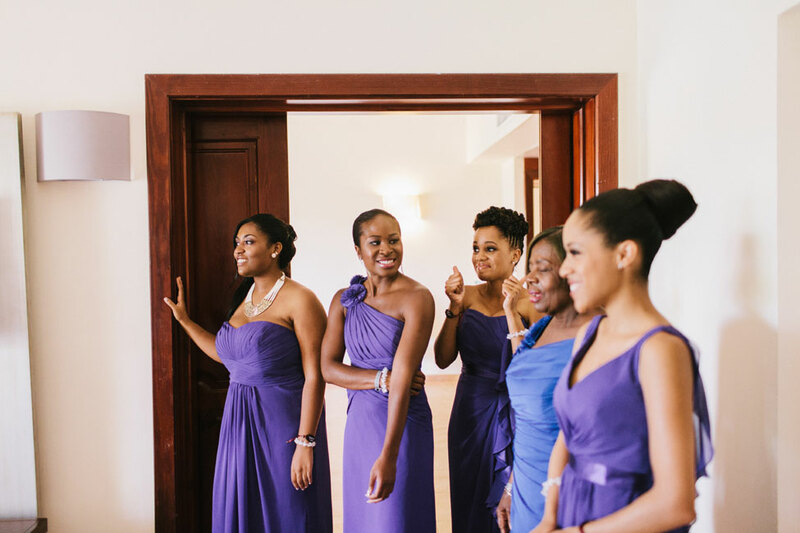 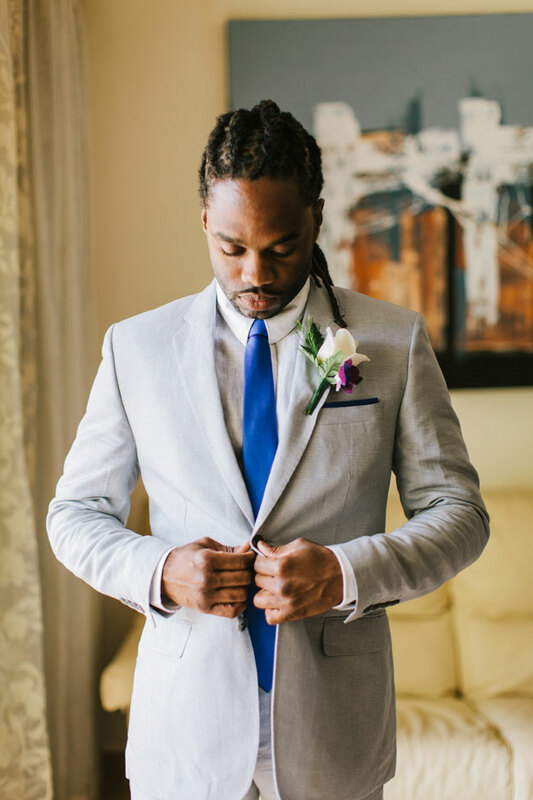 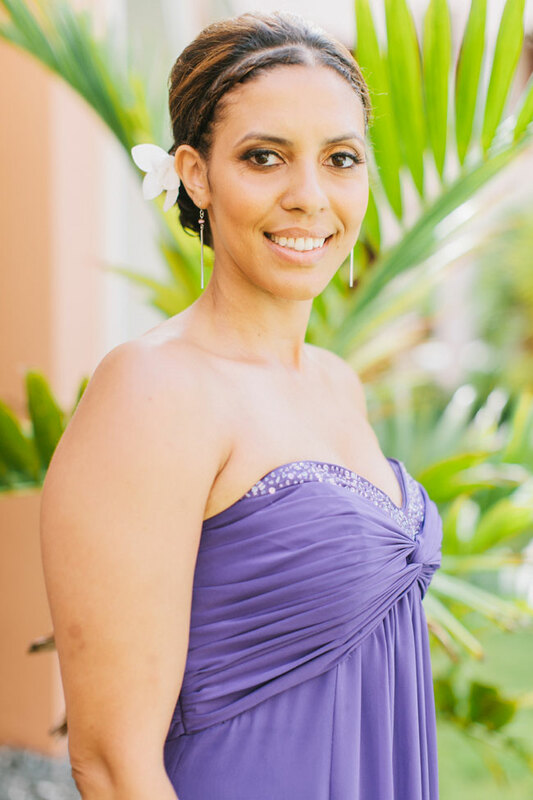 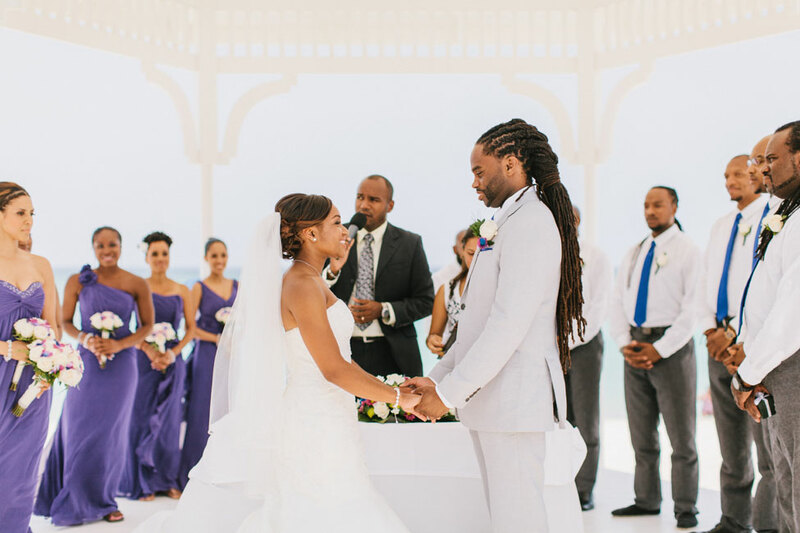 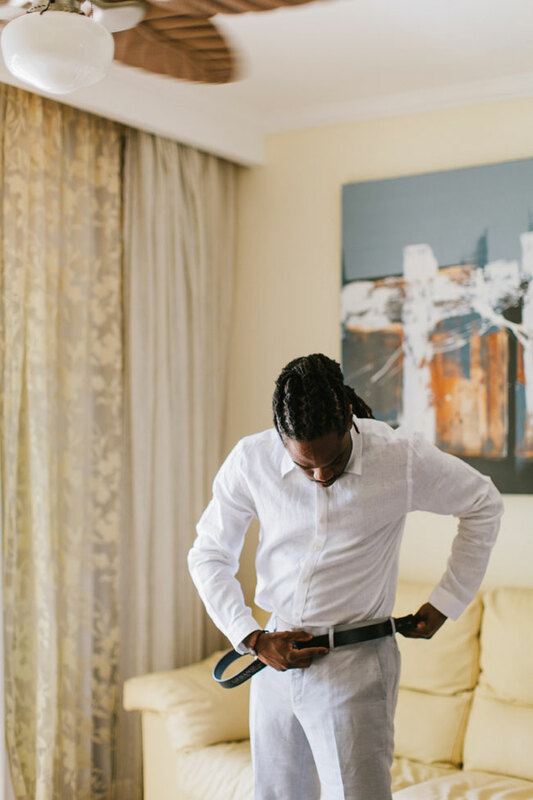 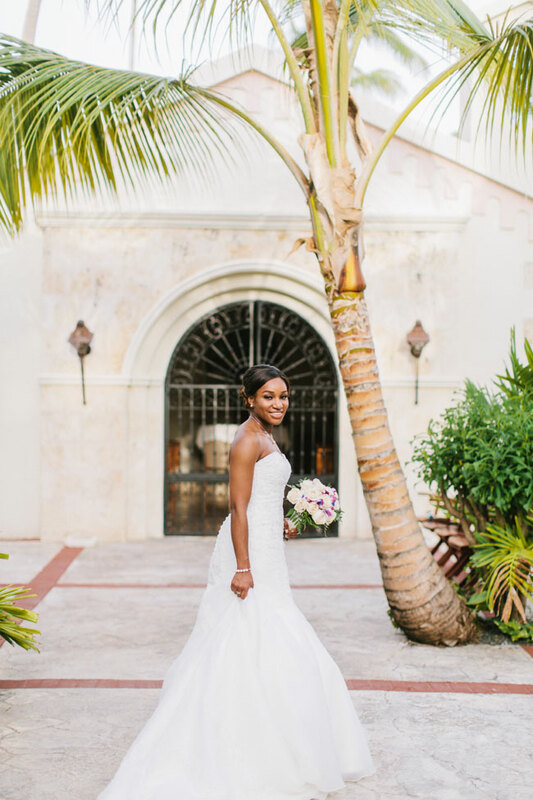 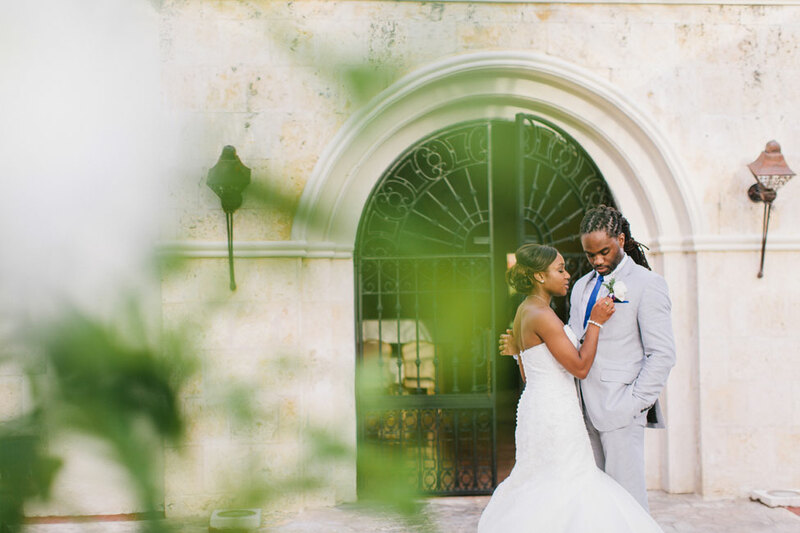 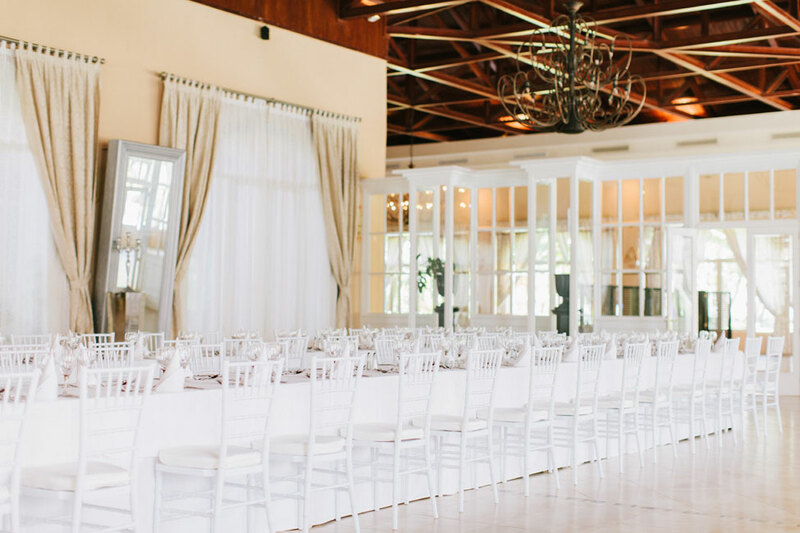 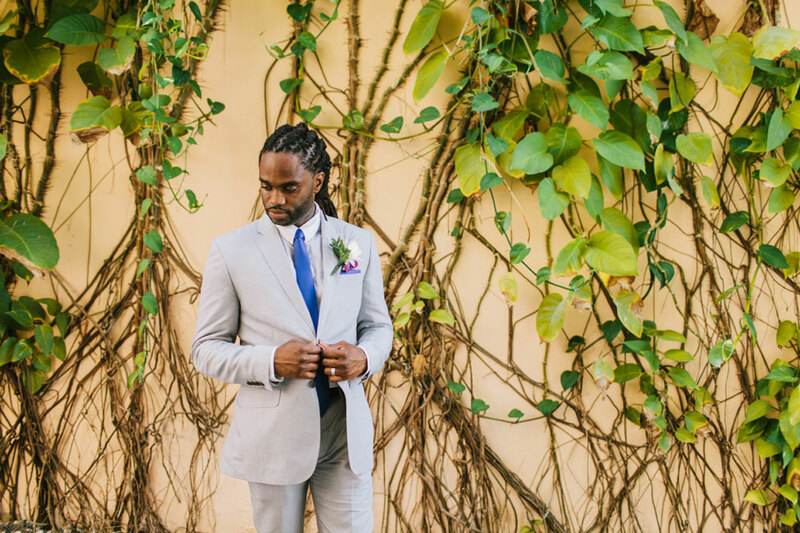 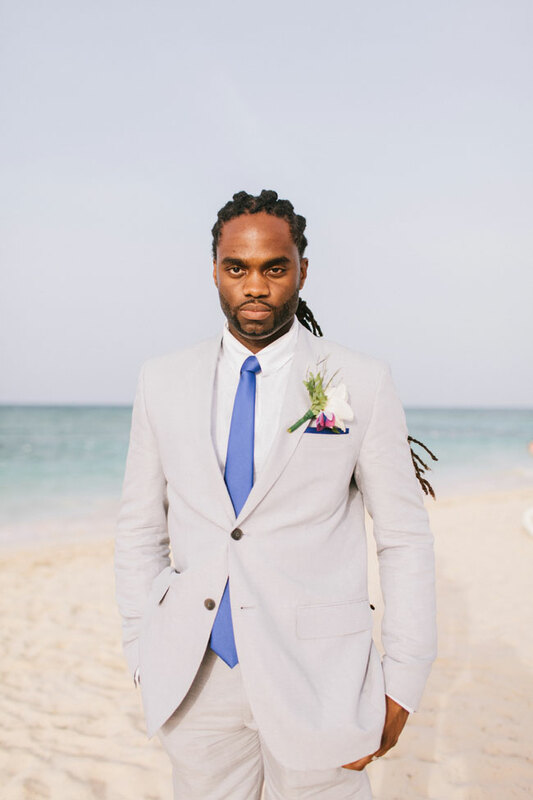 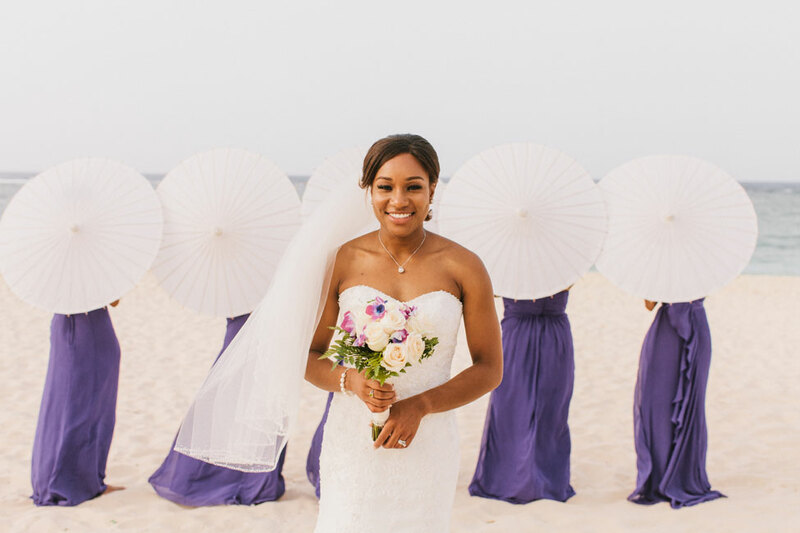 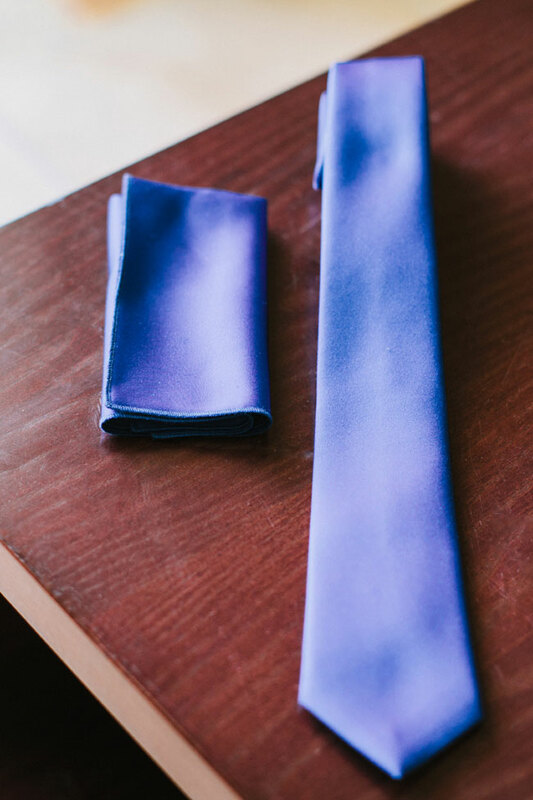 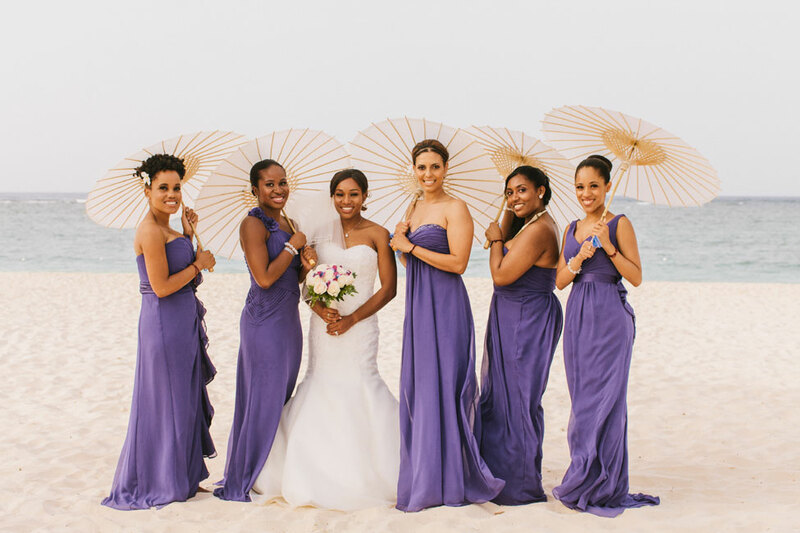 Keeping a light color palette of white with pops of purple, the couple crafted a crisp, clean modern tropical destination beach wedding world that is just as dreamy as the thought of the tropics alone! 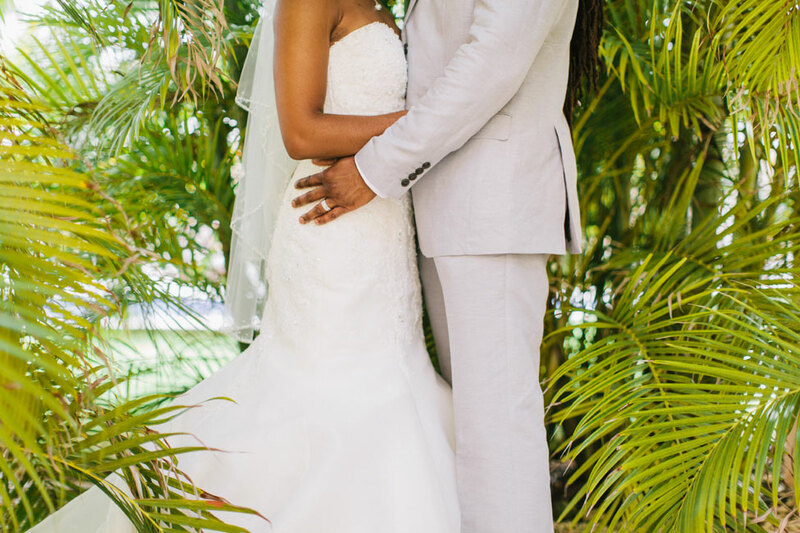 Cara is a Teacher and Jason is a Digital Artist and Wedding DJ. 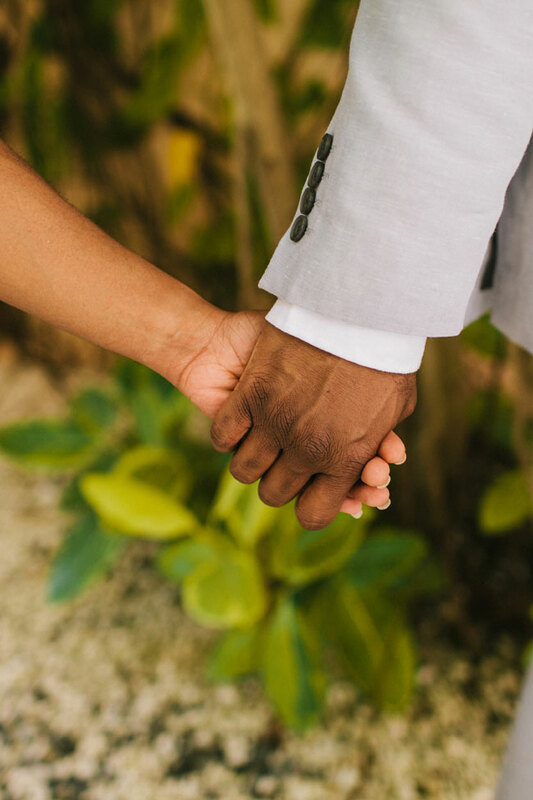 We have been friends for 10 years and dating for 6. 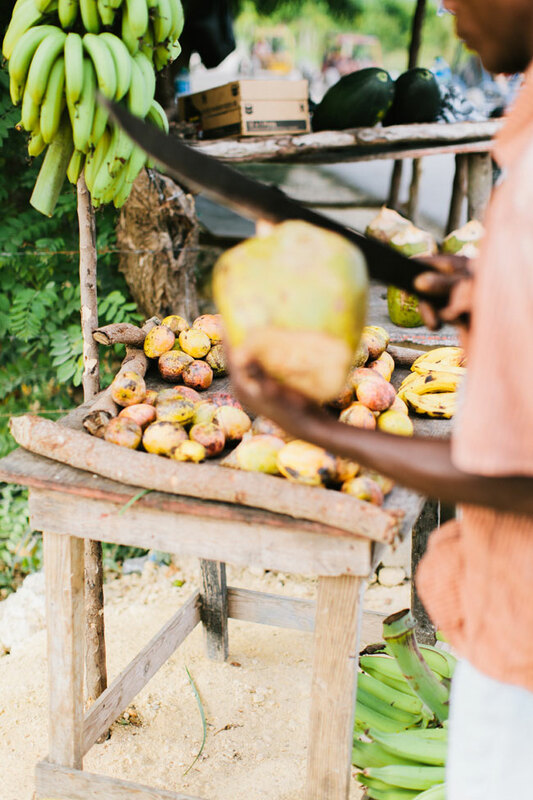 In that time we discovered that we are very similar with the same likes and dislikes (food in particular). 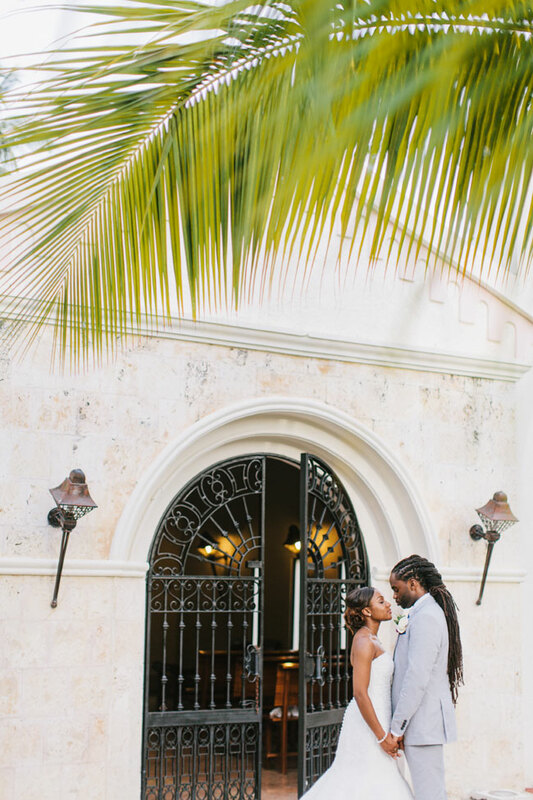 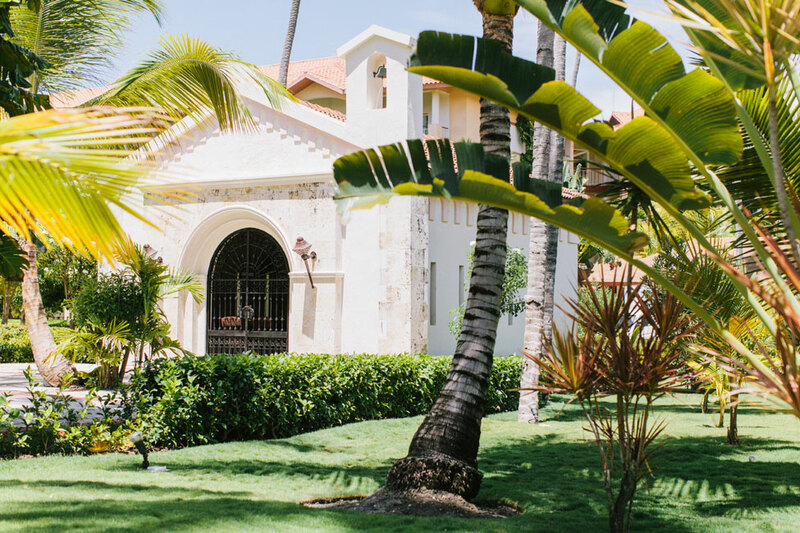 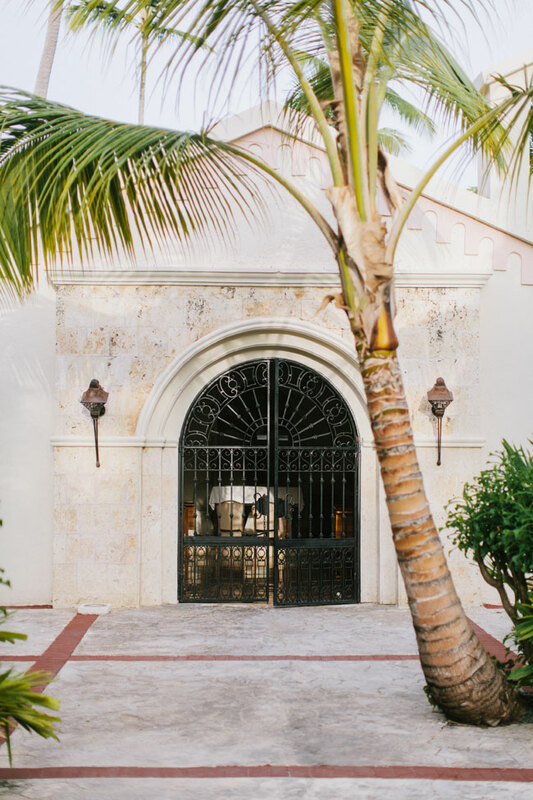 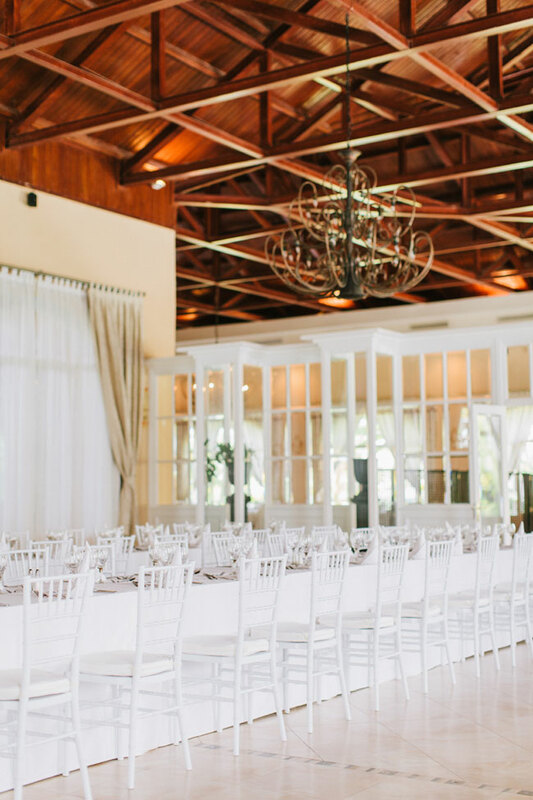 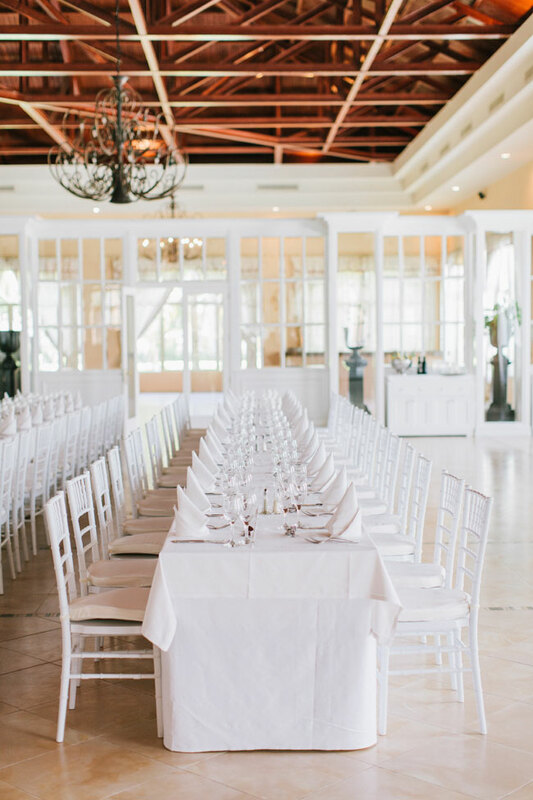 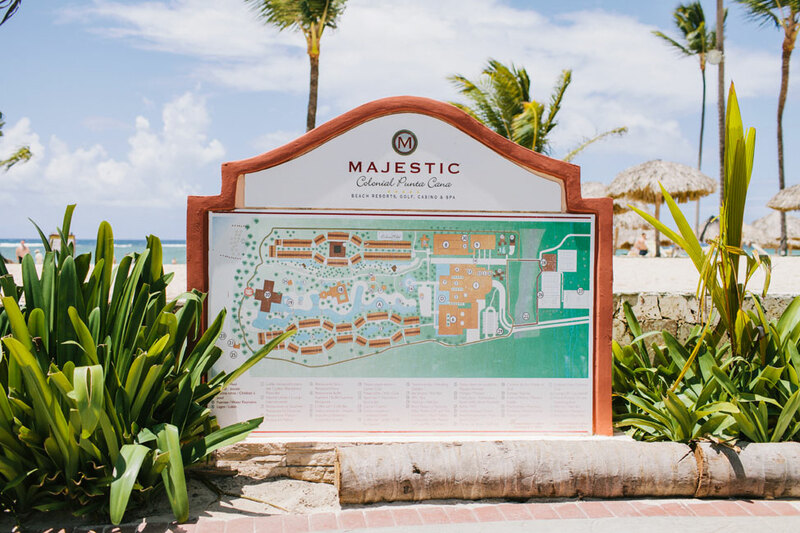 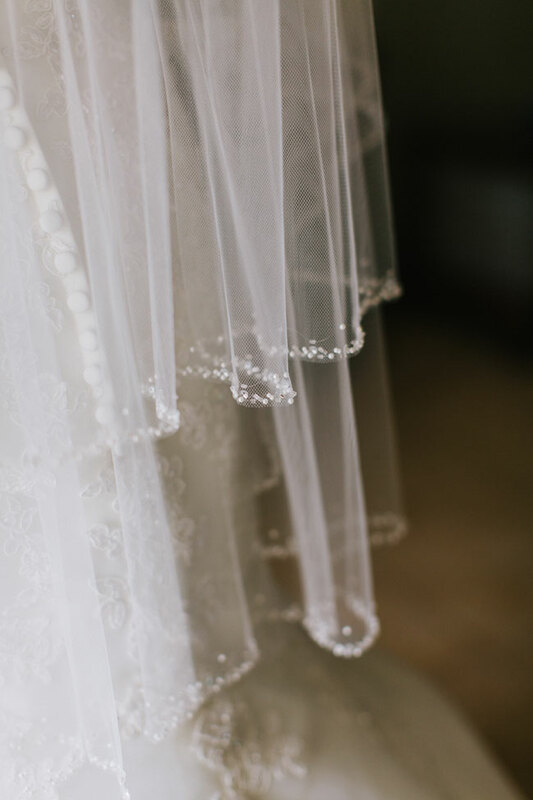 Majestic Colonial was recommended to us by our Travel Agent, and it was the perfect place for a non-cliché destination wedding (no Palm Tree Decor, Sea Shells, Star Fish). 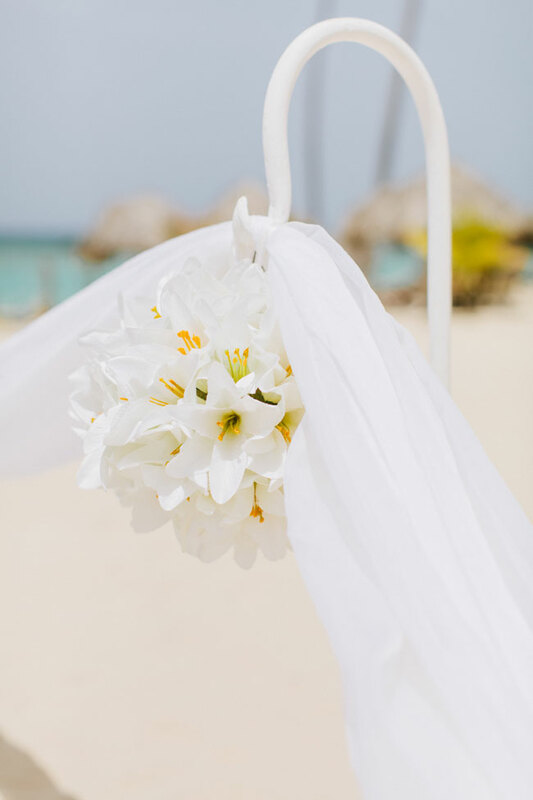 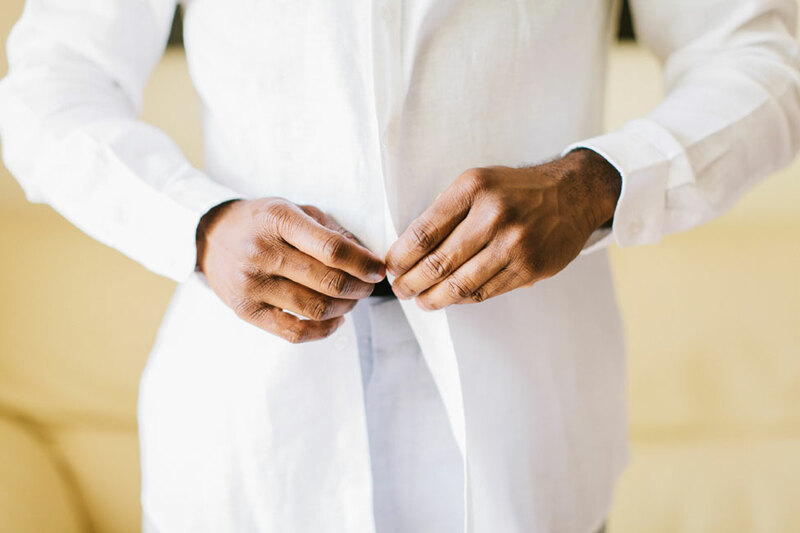 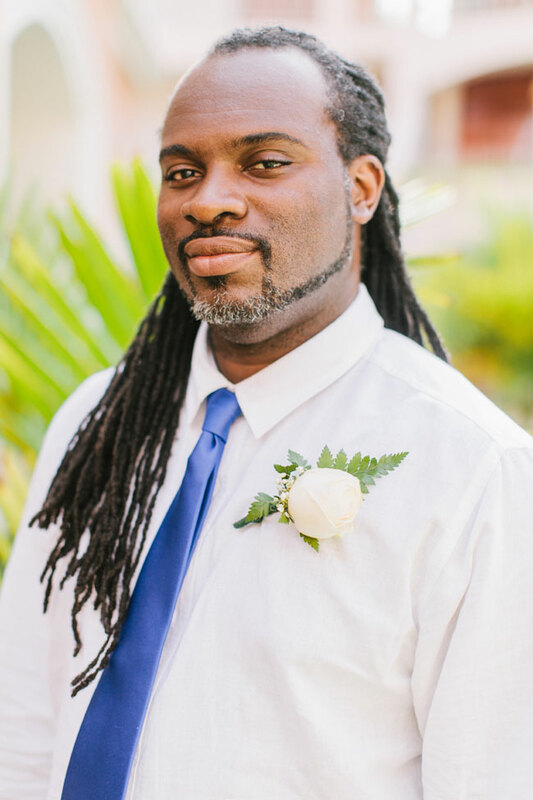 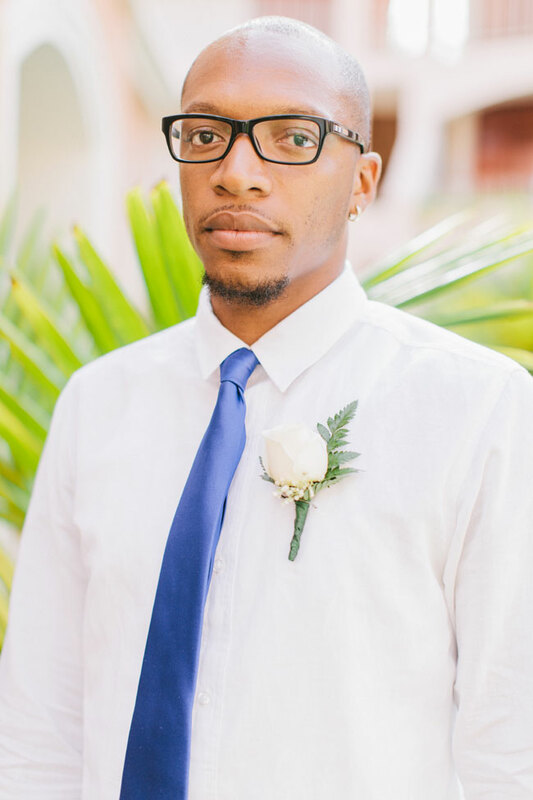 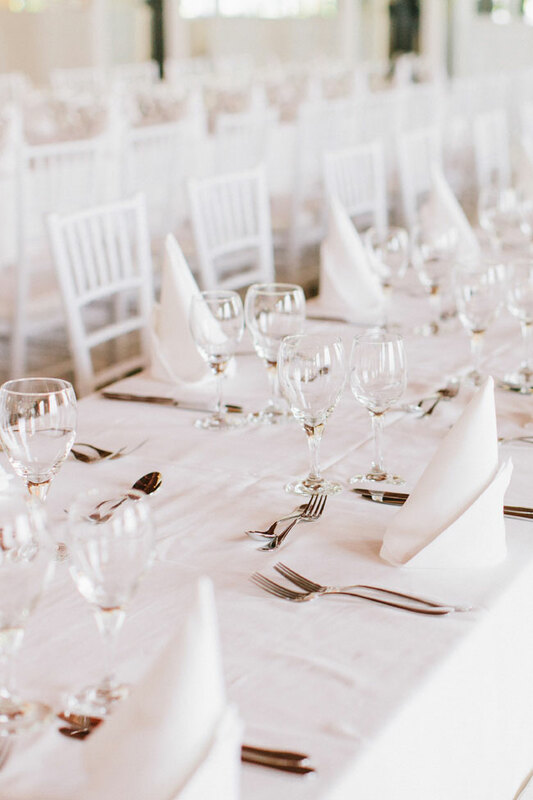 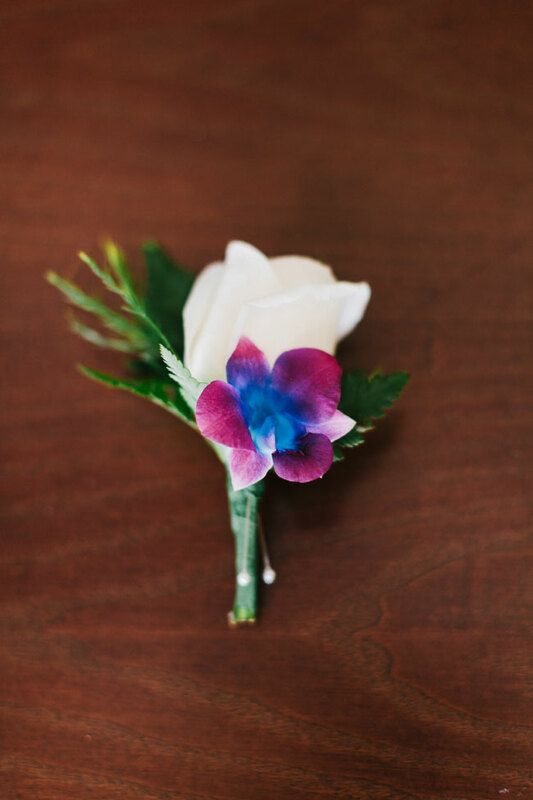 Special Events for our Guests included a Welcome Lunch, an All White Attire Party the day before the Wedding, as well as Catamaran Cruise and Farewell Dinner the day after! 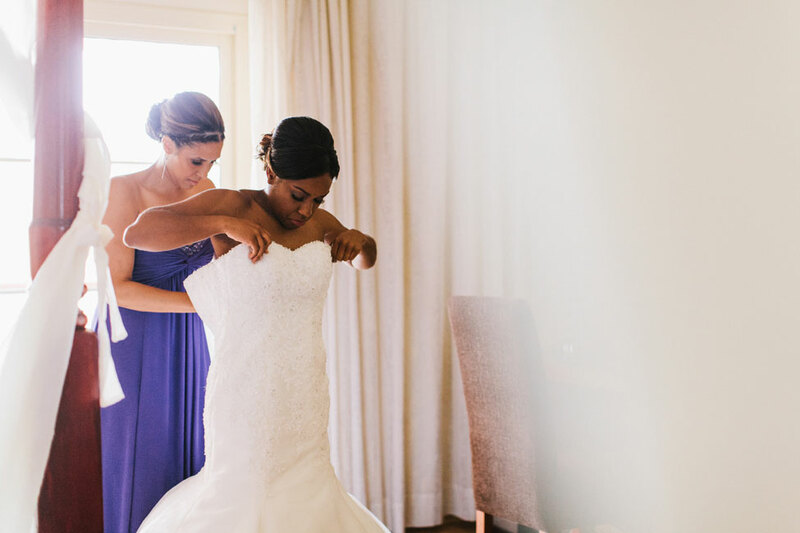 A Little Help From Their Friends ~ Mother, Aunts, Bridesmaids and Friends all helped with the various DIY Projects (Assembling and Preparing the Invitations to be mailed, tieing Ribbon on the Fans, constucting Ribbon Wands, Garter Belt, assembling the Ceremony Programs, Luggage Tag Favours). 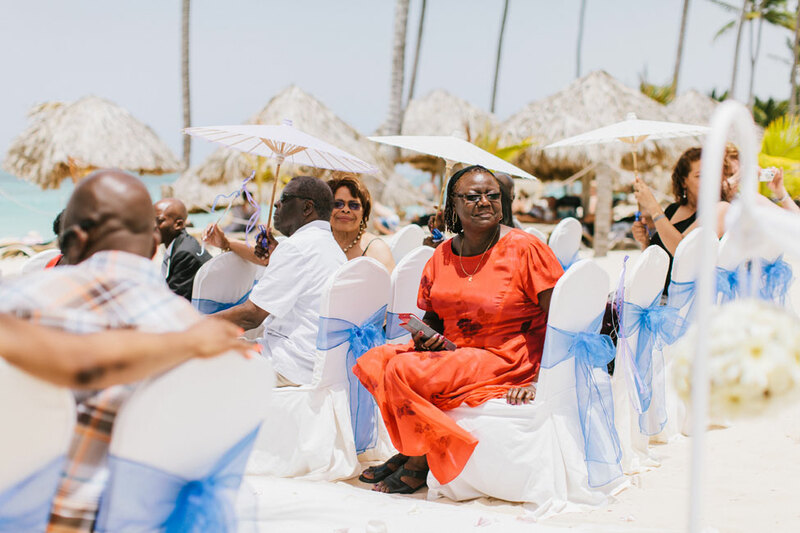 My Aunts made Traditional Rum Cake and boxed it for the Guest Favours. 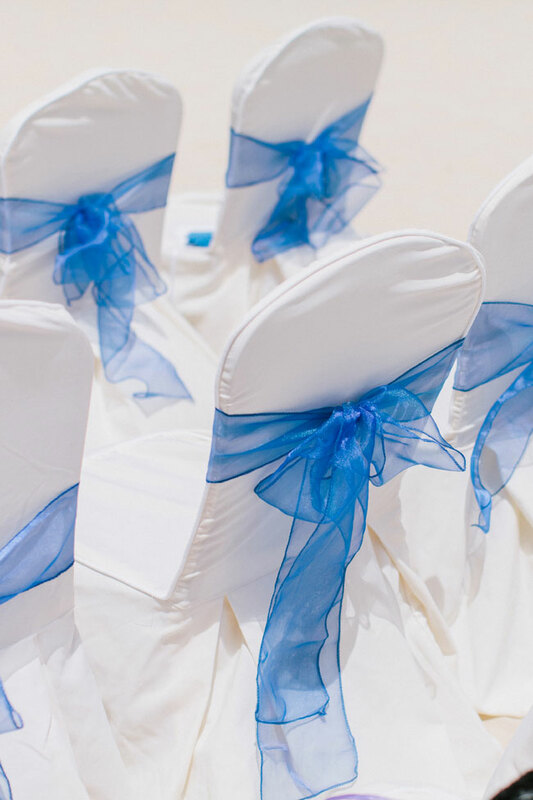 With the help of a friend they also worked with the Majestic Cordinator to decorate for the Ceremony and Reception. 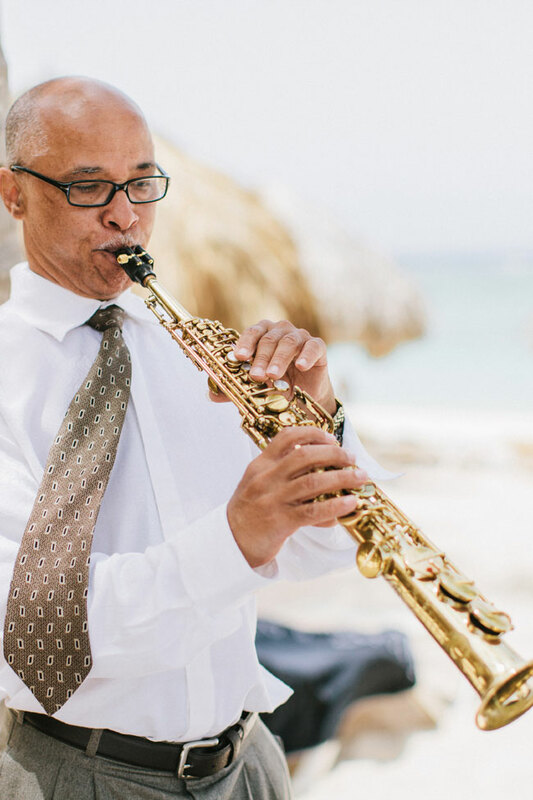 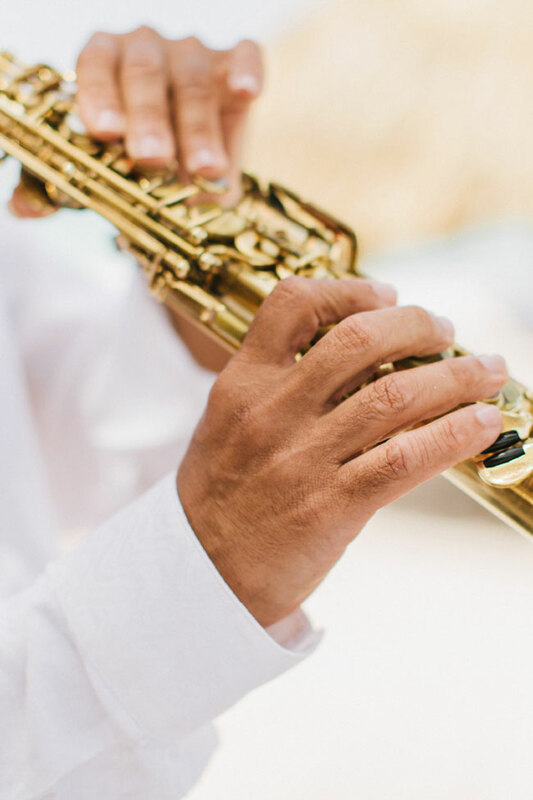 My Uncle, a Saxophonist, provided music for the Ceremony.